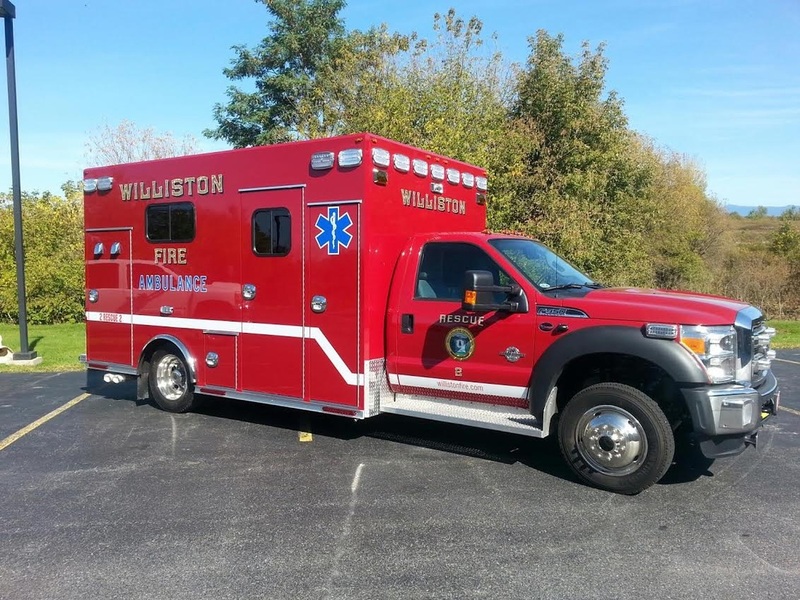 Starting in April, 2019 the Williston Fire Department will be offering American Heart Association CPR, AED and First Aid classes! We offer both instructor-led certification courses and skill check sessions for individuals who take the AHA online course. Below is a list of the courses we will be offering this spring. 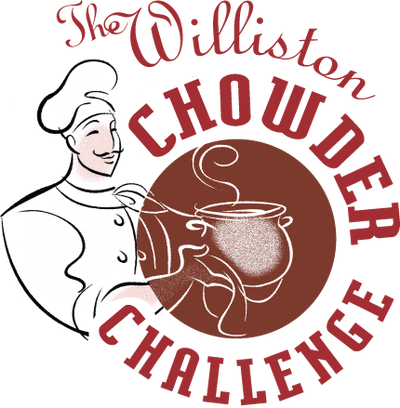 To register, please call our station at (802) 878-5622. This course is designed for those with little or no medical training who want to be prepared for a cardiac emergency, as well as those seeking re-certification. Learn how to recognize cardiac arrest, get emergency personnel on the way quickly, perform high-quality adult CPR, and provide early use of an AED. Adult choking and the administration of naloxone (Narcan) are covered topics as well. Video and group interaction, hands-on coaching and feedback, and skills practice are provided. Successful completion of this course includes a skill test, after which participants will receive a 2-year certification card via e-mail approximately 10-14 days after the class is held. This class is designed for those with little or no medical training wanting to be prepared for an emergency, as well as those seeking certification in first aid. Learn how to recognize an emergency, get care on the way quickly, and take first aid actions for external bleeding, broken bones, sprains, and insect bites and stings. Babysitters and other care givers will benefit from this video and instructor-led course. Successful completion of this course includes a skills test, after which participants will receive a 2-year certification card via e-mail approximately 10-14 days after the class is held. This course trains participants in the AHA Chain of Survival, specifically the BLS components, to promptly recognize several life-threatening emergencies, as well as those seeking re-certification. Learn how to perform high-quality adult, child and infant CPR, deliver appropriate ventilations using a breathing device, and provide early use of an AED. Adult, child & infant choking and the administration of naloxone (Narcan) are covered topics as well. Video and group interaction, hands-on coaching and feedback, multi-rescuer resuscitation and performance scenarios, and BLS skills practice are provided. Successful completion of this course includes a BLS skills test and a written exam, after which participants will receive a 2-year certification card via e-mail approximately 10-14 days after the class is held. AHA courses are available online as well, which require a hands-on skills session to be completed after the course. Online course fees will vary depending on the course you take. Please visit the American Heart Association website directly to register for a class (https://www.onlineaha.org/course_format). We are an approved site that can offer you the skills session here at the station. Once you complete your course, call us to schedule a time for your skills session. You must print and bring a copy of your course certificate with you to the skills session. Please bring payment with you to the skills session. We do not accept credit/debit cards at the station, so please bring cash or a check made payable to the Williston Fire Department. To schedule an online course, please visit the American Heart Association’s website ( www.onlineaha.org ). Once you receive your course completion certificate, call our station to schedule a skill check with one of our instructors. Remember to bring a printed copy of the certificate with you. Online course prices vary depending on the class you are taking, and a skill check is an additional $30. Please visit the American Heart Association’s website for more information on each class ( www.cpr.heart.org ). Toys for Kids 2018 a huge success! Thanks to the amazing generosity of many of you, hundreds of children of all ages will have toys under their tree this year. This image was taken on the last night of our pick up barrel being in the lobby and it was clearly overflowing! The best part is this was not the first time the barrel overflowed with your kindness. On behalf of Chief Ken Morton and all of us at the Williston Fire Department: Thank you! As of February 1st, 2018 the main page of this website will no longer contain up-to-date information about calls and events. This website will continue to act as a resource for information regarding the Williston Fire Department, but will not feature current stats or incident information. 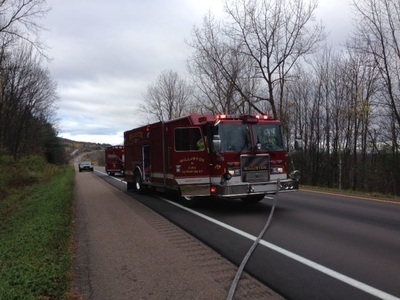 Earlier today, the Williston Fire Department was dispatched to Interstate 89 northbound near mile marker 81 (near the top of French Hill) for a reported brush fire (in December?? We had the same thought....). Upon arriving on scene, Firefighters from Engine 2 and Rescue 2 quickly extinguished a grass fire just south of the northbound rest area. It was later discovered that a hot piece of metal from a passing vehicle had caused the fire. Williston Fire Department Engine 2, 3, Rescue 2, Car 2 and the brush unit were placed in service in approximately 30 minutes. Thanks to recent protocol changes, EMT level providers are now able to administer this life saving drug. Previously the responsibility was solely with advanced providers such as AEMTs or Paramedics. For those that may not know, today 11/28) is Giving Tuesday! While there are hundreds of wonderful places to give to, we chose to get together with a local business and donate to a charity located right in our building. 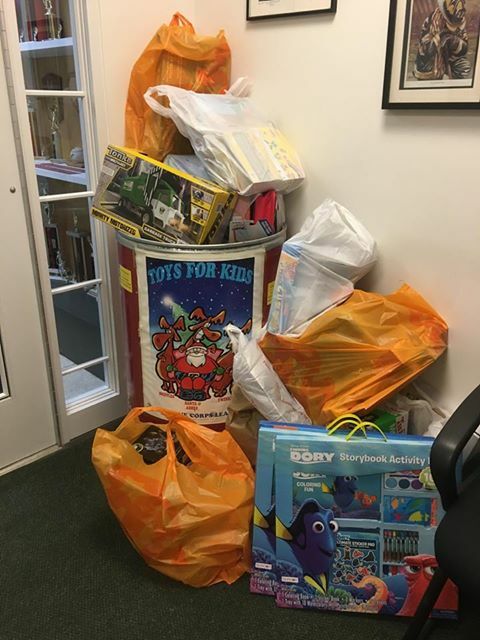 Toys for Kids has a barrel located in our lobby which is now full thanks to the generous giving of local businesses, members of the community and Williston firefighters. While today is a specific day of giving, we’d like to look at it as a season of giving and goodwill. If you did not have a chance to get out today to give to a charity or organization of your choice, our Toys for Kids barrel will be here until the 22nd of December. We’d like to thank Environmental Hazards Management, Fire Chief Ken Morton, and the dozens of other wonderful community members who have stopped in today and previously to donate to such a good cause. 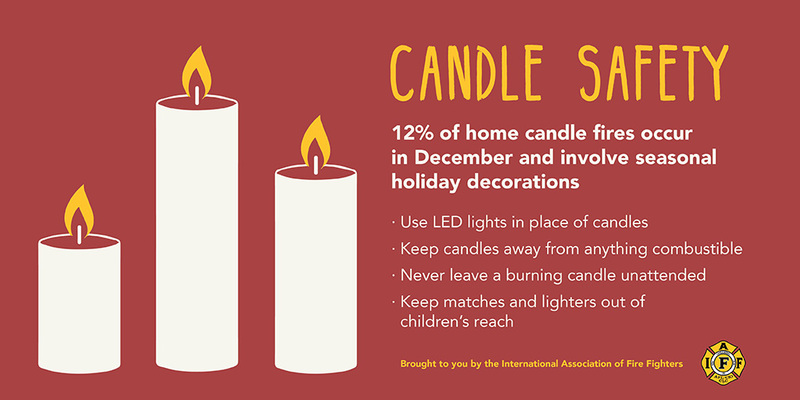 You will make a great deal of children across Vermont very happy this holiday season. For the past eight weeks, Riley has been in her recruit school. 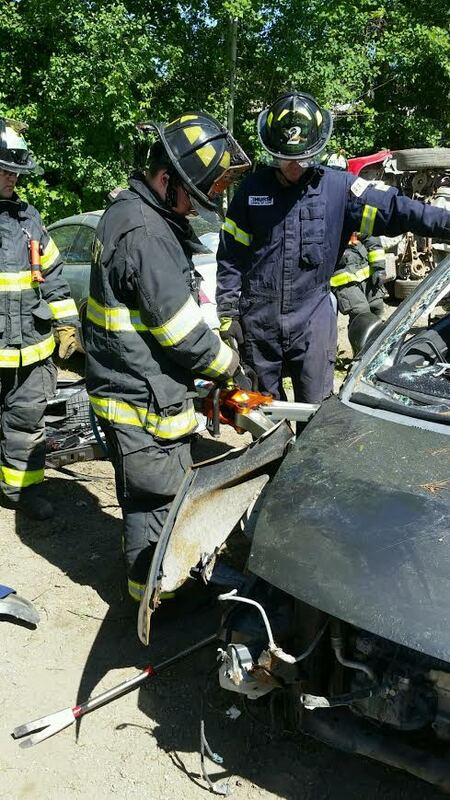 This school has covered everything from how to safely and efficiently extinguish structural fires, how to extricate someone from a motor vehicle crash, how to treat critically injured patients, and much more. Riley Moore comes to Vermont from the Virginia area and we could not be happier to have her with us. The members of the Williston Fire Department would like to thank those Veterans who have served their country with a sense of duty and honor that only those who have served with them truly understand. As for us, we are is awe of your service to this great nation. Your sacrifice is one of love and devotion to a cause far greater than yourselves. We are forever in your debt. Do you need assistance following the storm? 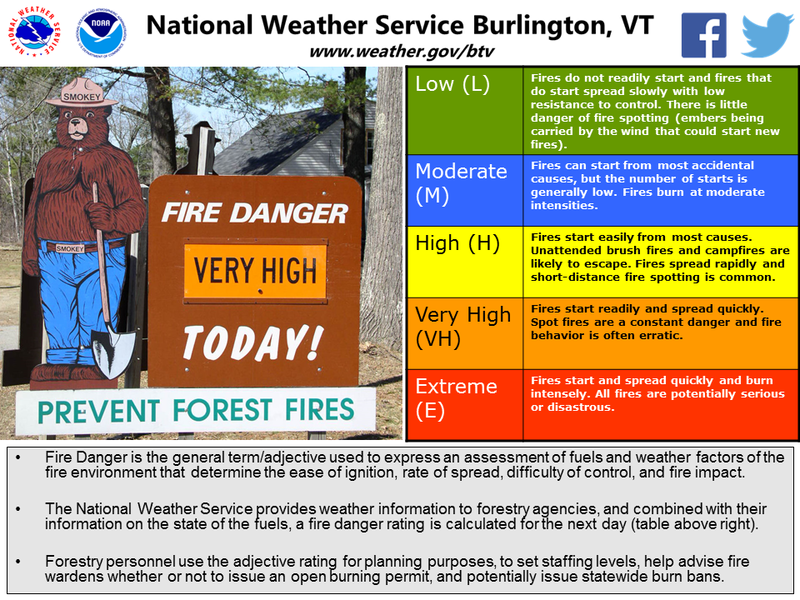 Do not hesitate to contact the Williston Fire Department 878-5622 or VT 2-1-1 for assistance following the wind storm on 10/29. 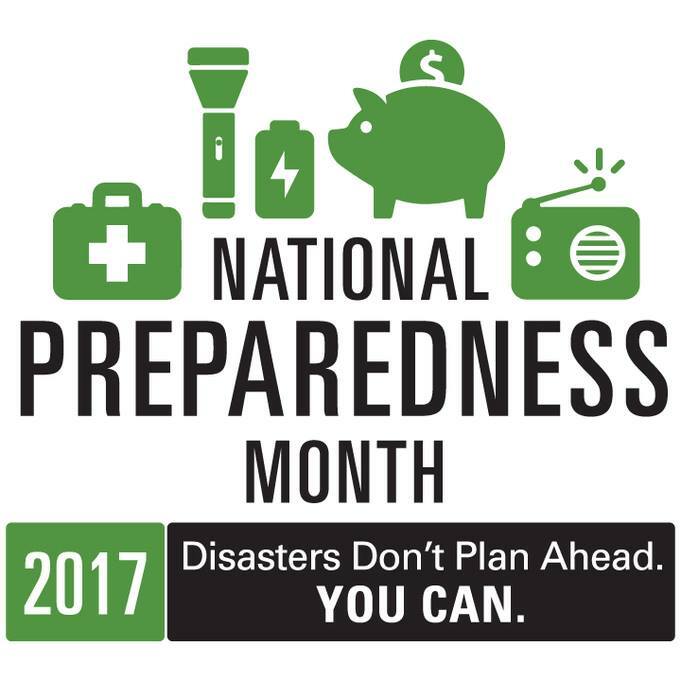 Did you know September is National Preparedness Month? 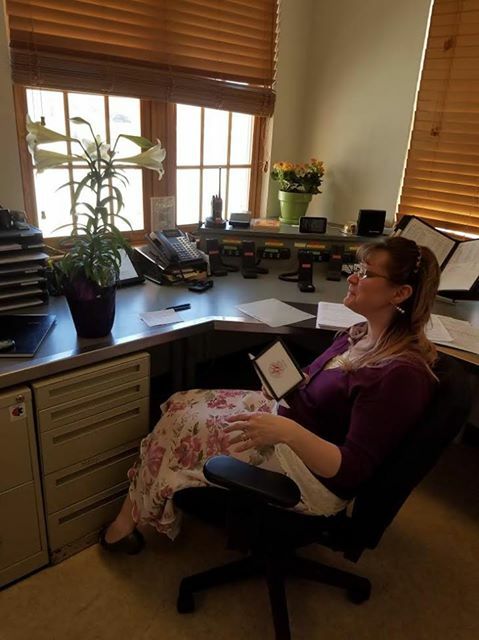 If you or a loved one would like a copy of the Family Emergency Preparedness workbook stop by the Williston Fire Department and see Lisa (or any firefighter) at the front desk. The workbook has a great deal of good information such as how to build a preparedness kit, how to plan for home emergencies like floods and fires, and even has handy checklists for reference. Williston Fire holds recruit "family day"
Earlier this summer, probationary firefighter Gabe Cummings completed eight weeks of recruit training with the Williston Fire Department before being ultimately assigned to C shift with Lt. Prouty and Sr. FF Auriemma. Last week, the Chief held a "recruit family day" event where Gabe's family toured the station, watched a skills demonstration, had an award ceremony and ended with a firehouse dinner together with the on-duty staff. Special thanks to Ginger Morton for making the delicious meal. In this job, we are a firehouse family, and understand how much our other family means to so many of us. It was an honor to witness Gabe's mom, dad, brother and girlfriend present him with his badge and collar pins. Keep up the hard work! 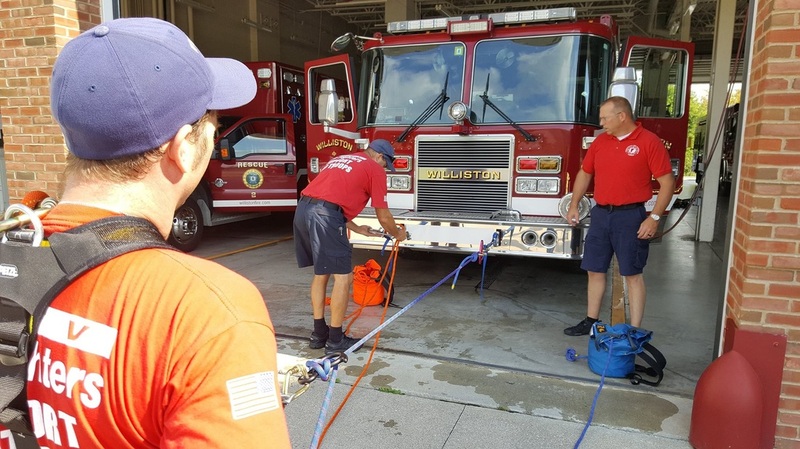 Two days ago, sixteen members of Vermont’s Urban Search and Rescue Team (USAR) who specialize in swift water rescue left for Texas to help however they can. 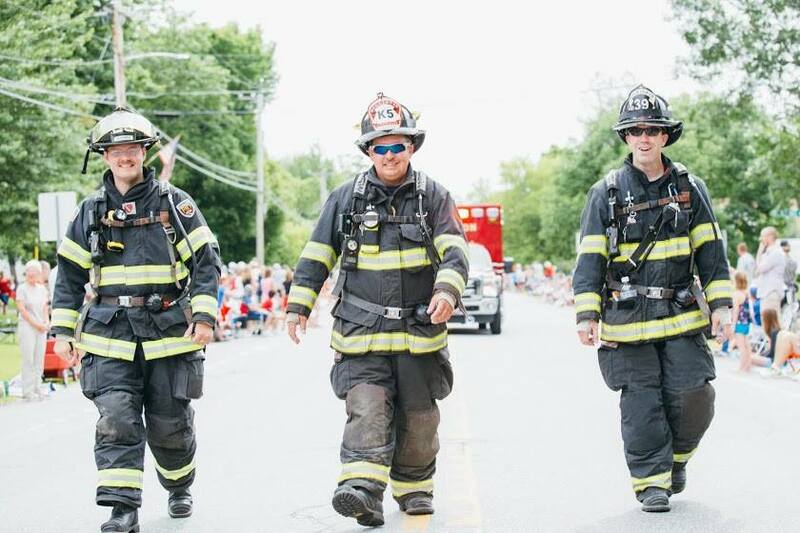 Two of the sixteen members are Williston Fire Captain Timothy Gerry and Senior Firefighter David Auriemma. Both distinguished members of the department with a combined time of more than 25 years serving the Town of Williston. Hundreds of hours of training, much of that away from their families, has led to their ability to participate in this deployment. They gave that time up not because they had to, but because they wanted to. They are proud to serve not just our Department, but our great State as well. We are equally proud of them and wish them the very best as they make their way towards the wake of one of the most devastating hurricanes the US has seen. While only a small contingent of Vermonters, they represent all of us, and the values we hold true. Thank you Tim, Dave and the entire VT USAR TF1for your dedication and service. Good luck and stay safe! 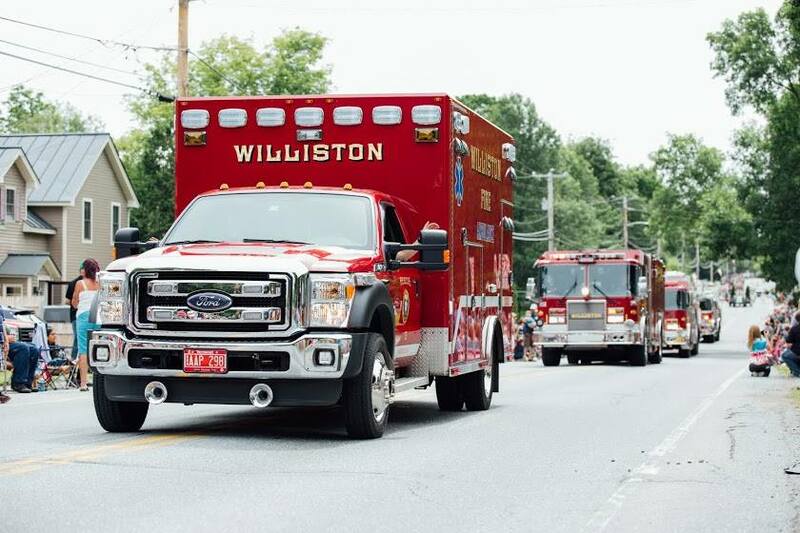 Williston became the seventh Vermont municipality designated as a “HeartSafe Community” on Tuesday for the work its emergency services agencies have done to bolster residents’ ability to respond to sudden cardiac arrests. Dan Batsie, emergency services chief of the Vermont Department of Health, presented the town with a plaque signifying the designation during Tuesday’s meeting of the Williston Selectboard. It’s a designation that the Williston Fire Department has been working toward for several years. 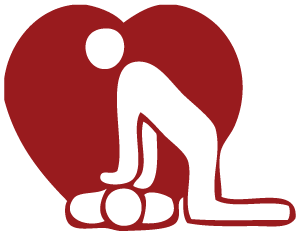 · CPR training in the community on a regular basis. · Public access to defibrillation through strategic placement of automated external defibrillators (AEDs) for use by public safety professionals and other trained community members. · Early advanced care by an ACLS trained professional. WILLISTON, VT - Just before 3pm on Sunday, August 20, 2017, the Williston Fire Department was dispatched to Overlook Park near the Winooski River Dam for a report of three juveniles in the water after their raft capsized. At time of dispatch, one male was reportedly missing. Lieutenant Ryan Prouty immediately called for Colchester Technical Rescue to respond with additional water rescue personnel. Engine 2, Rescue 2 and Car 2 all arrived at an updated address in the vicinity of #500 River Cove Road, with Assistant Chief Doug Hulbert assuming command. Police officers on scene updated rescue personnel that after their raft capsized, all of the juveniles had been accounted for, but that two individuals would still need assistance. Williston firefighters positioned themselves downstream to provide safety and support, while the Colchester Technical Rescue team put two rescuers in the water and safely brought the two individuals to shore. Williston firefighters assessed both individuals who refused treatment and transport to the hospital. 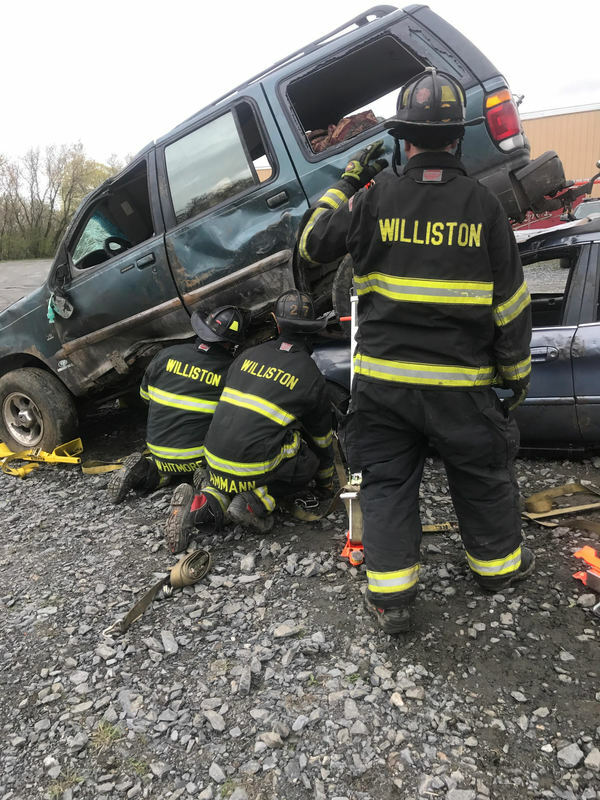 The Williston Fire Department was thankful for the assistance of Colchester Technical Rescue, Williston Vermont Police Department, Essex Police Department and South Burlington Police Department. The Williston Fire Department provided a total of 12 personnel, staffing two engines, two rescues, and three support vehicles. There are many unknowns with water and it can be a formidable force to contend with. Williston Firefighters would like to remind everyone that proper fitting life jackets save lives. Please see the link below for more information on USCG approved life jackets. In the past few days, Vermont's roadways have been riddled with tragedy. Firefighters, Emergency Medical Providers and Police Officers work hand-in-hand every day to ensure the citizens in our respective communities are kept safe. The last thing any responder wants is to arrive on the scene of a tragic accident which was preventable. 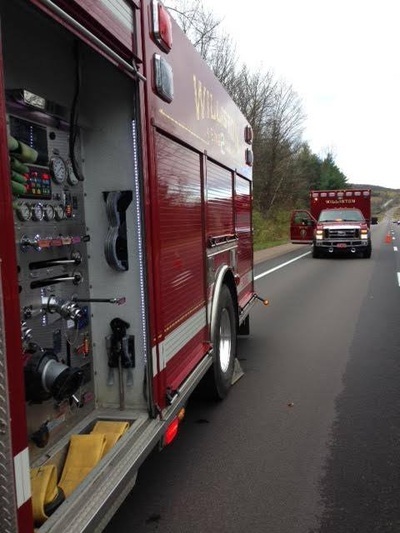 In the past two days, the Williston Fire Department has received two calls for crashes within a two mile stretch of Interstate 89 that we cover. Both calls required patients be treated and transported to the hospital, one with significant injuries. While each crash was different in many regards, they both had something in common: seat belt use. 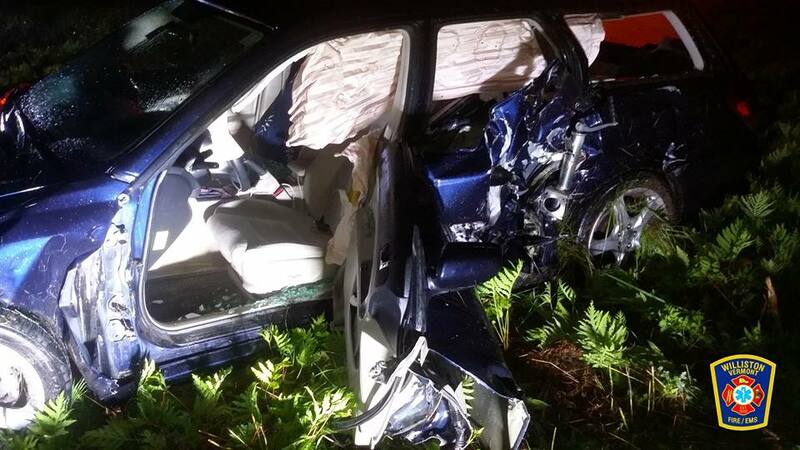 In looking at the mechanism of each crash and the speed at which they occurred (65 mph or more), it is apparent that seat belt use had a significantly positive impact for the occupants of each vehicle. Two occupants of a high-speed collision involving a tractor trailer were thankful to be alive and credited it to something they say is second nature: buckling up. Still, over half of all motor vehicle fatalities in Vermont are unrestrained. No matter how many public safety announcements, traffic stops, or bad wrecks people see, the power ultimately lies with YOU. On behalf of all of us at the Williston Fire Department, we are asking you to please remember to buckle up, EVERY TIME. Have the courage to tell those around you to do the same, and always look out for one of our most vulnerable populations: children. If you are unsure if your car seat is installed properly, contact the Williston Fire Department at (802) 878-5622 to make a car seat inspection appointment or go to www.beseatsmart.org for other installation locations. Lets work together to make Vermont a safer place for us all! Just before 2pm on Wednesday, August 9, 2017, the Williston Fire Department was dispatched to Interstate 89 northbound near the rest area for a reported motor vehicle crash involving a tractor trailer unit. Chief Ken Morton arrived first, finding two passenger cars, one with heavy rear end damage, the other with minor side damage. A tractor trailer unit was also involved and was found to be actively leaking diesel fuel out of a full 150 gallon saddle tank. Rescue 2 arrived shortly after and began patient care, while Engine 2 worked to contain the diesel leak. Firefighters from Engine 2 were able to place a collection pond around the fuel tank, instantly stopping it from leaking into the roadway. The second arriving engine had equipment on it specifically for the mitigation of basic hazardous materials issues, allowing firefighters to not just contain the leak, but also mitigate it completely for later removal. One patient required transport to the UVM Medical Center Emergency Department for non-life threatening injuries. Three other patients were evaluated on the scene but refused transport to the hospital. The Williston Fire Department responded with 11 firefighters, staffing two ambulances, three engines, a support vehicle and a command car. 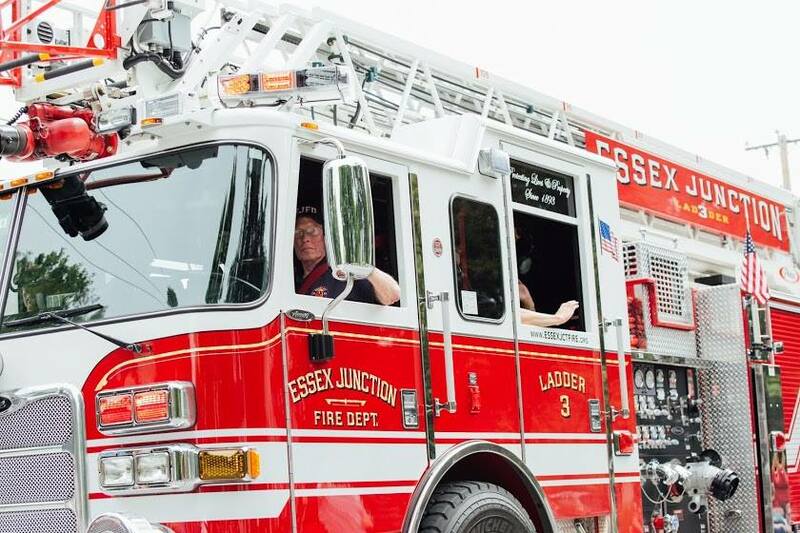 Special thanks to the Essex Junction Fire Department for providing station coverage. 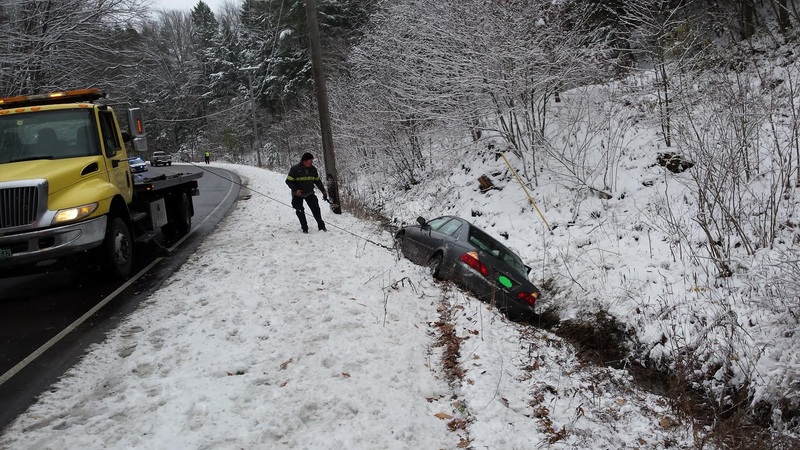 Thanks also to the Vermont State Police, Vermont DMV, and VTrans for their assistance with this crash. Early this morning, the Williston Fire Department was dispatched to Interstate 89 for a reported car crash with injuries. Engine 2 and Rescue 2 arrived first to find a single vehicle in the median near mile marker 85 with heavy damage to the drivers side. It was quickly discovered that the patient was injured and unable to get out of the vehicle due to the damage sustained during the crash. While the crew from Rescue 2 performed patient care, Engine 2's crew was able to safely extricate the patient from the vehicle. The patient was transported to the hospital with the extent of his injuries unknown at this time. The Williston Fire Department responded with eight firefighters in two ambulances, two engines and a command vehicle. Also on scene were the Williston Vermont Police Department and Vermont State Police. Special thanks to the Essex Junction Fire Department for providing station coverage during the incident. Ozzie was always big on the history of the Department. 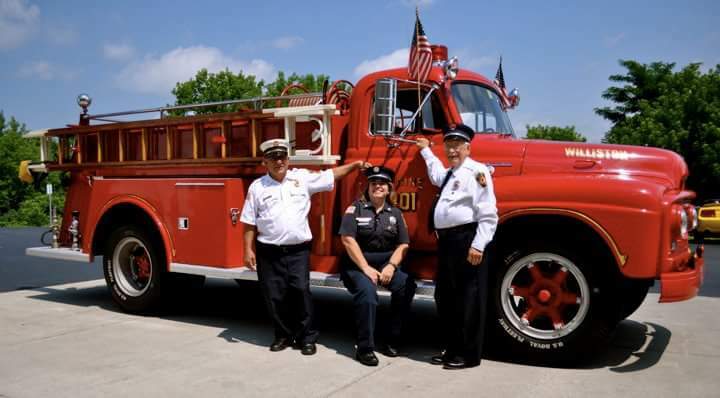 In a very fitting way, during the last goodbye, he managed to get Fire Department members together who had not seen each other in many years, providing an opportunity to remember some wonderful times with some amazing people. 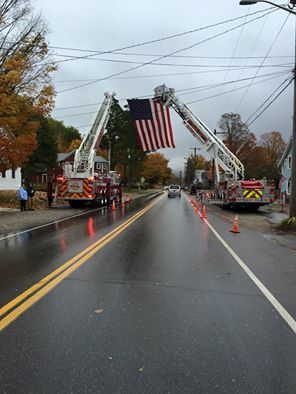 Special thanks to Lee Krohn and Fa Ross for their photography, Hinesburg Fire Department, Colchester Center Volunteer Fire Fighters' Association Inc. CCVFC, Richmond Volunteer Fire Department for sending trucks for the processional, Essex Junction Fire Department for providing a ladder for the flag arch, and Essex Fire Department and Saint Michael's College Fire and Rescue for providing station coverage during the event. It was wonderful to see members of numerous other Fire Departments represented at the wake and funeral and truly a testament to the reach our friend Lynwood had. Malletts Bay Fire Department UJFD Shelburne Fire Department Winooski Fire Department Burlington Vermont Fire Department Barre City Fire Department Ferrisburgh Vol. Fire Dept. West Hartford, Norwalk FD and more. From our family to yours....thank you! 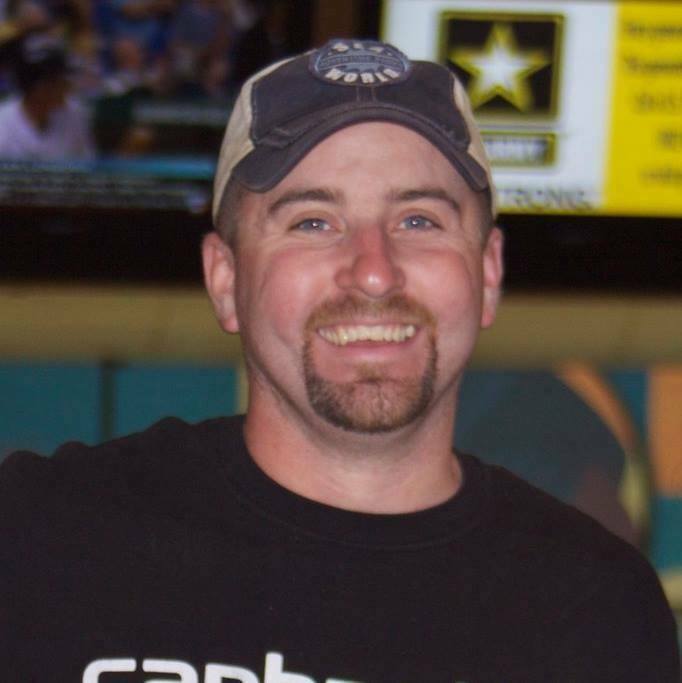 The wake will be held Tuesday, August 1st from 4pm to 7pm at the Corbin and Palmer Funeral Home in Essex Jct. The funeral will be held Wednesday, August 2nd at 10am at the Williston Federated Church. Both Ozzie's family and the Fire Department family would like to thank you all for your kind words and condolences. It is very much appreciated. It is with great sadness that we announce the passing of retired Lieutenant and longtime member of the Williston Fire Department, Lynwood Osborne. Ozzie, as he is affectionately known around the station, passed away earlier today (July 28, 2017) after a battle with cancer. He leaves behind a legacy of commitment, honor, and service; one which will remain in our hearts and minds for many years to come. 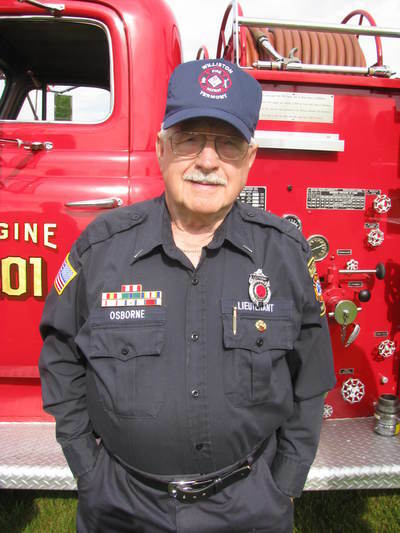 Ozzie changed the fire service for the better, and little ripples of a man filled with kindness and love will be felt by firefighters, both old and new, for generations to come. The Williston Fire Department has one (1) full-time opening for a Career Firefighter/EMT. Minimum AEMT certification (Paramedic preferred) and CPAT certification at the time of hire. This is a vacant position with an immediate start date available. ​Visit the About Us page - employment tab to view the full job posting. Mail resume and cover letter by August 11, 2017 to Williston Fire Department, Attn: Chief Morton, 645 Talcott Road, Williston, Vermont, 05495. Williston Fire is an EOE. 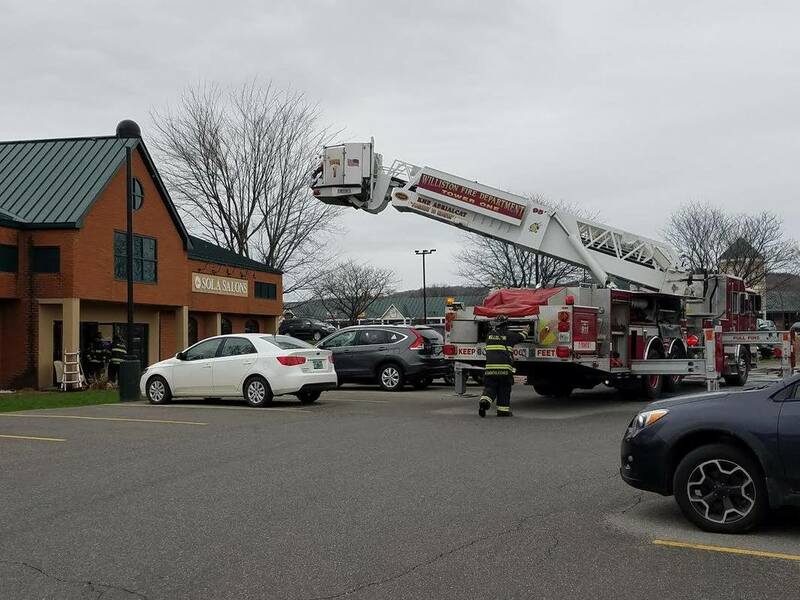 WILLISTON, VT – On Wednesday, July 12th, the Williston Fire Department was dispatched to a report of smoke in the building at Shaws Supermarket on Boxwood Street. With our ambulance transporting a medical patient to the hospital, and our engine having limited staffing on it, Chief Ken Morton immediately called for mutual aid in the form of a working incident. First arriving units were updated that there was smoke coming from a cooler unit. Within minutes, firefighters had discovered the issue and turned off all power to the cooling unit in question. The problem was discovered to be electrical in nature and was quickly resolved by arriving service technicians. The store was allowed to reoccupy within an hour of the incident. Williston Fire Department responded with two engines, a tower ladder and a command car. The South Burlington Fire Department was called for coverage to the station, but was returned prior to arrival. The following day, Thursday, July 13th, the Williston Fire Department responded back to Shaws for smoke in the building. This time, the report was a different cooler unit actively on fire near aisle 18. First arriving firefighters pulled a hose line off the truck and made entry into the store to discover a cooler smoking but not currently on fire. As the power was being shut off, the base of the cooler flared up causing firefighters to have to discharge a portion of a portable fire extinguisher and ultimately extinguishing any remaining issue. The problem was again deemed to be electrical in nature and was isolated to a single cooler area, allowing the store to reoccupy upon Fire Department departure. We would like to commend the staff at Shaw's Supermarket for their cooperation during both incidents. Thank you to all the occupants of the store for your patience as we remedied the situation. We would also like to take a moment to remind folks that when a fire alarm goes off, drop what you are doing (or buying) and swiftly move to the nearest exit. Your safety is our number one priority! WILLISTON, VT – On Saturday, July 8, 2017 at 11:41am, the Williston Fire Department was dispatched to a report of smoke coming from a second story window in a residence off Cedar Lane. Due to limited staffing at the station, Shift Lieutenant Baker immediately called for mutual aid from neighboring towns. Engine 2 arrived within two minutes to find smoke coming from the second story of a condominium. First arriving firefighters were met with heavy smoke inside the residence and quickly discovered a fire located in a back bedroom. While the fire was being extinguished, firefighters from South Burlington performed a search of the residence. They discovered a dog hiding under the kitchen table and rescued it from the smoke-filled home. Wylie, a 15-year-old black lab was treated with oxygen by Williston firefighters and police officers and was taken to a local veterinary clinic for evaluation. He is expected to make a full recovery and will be reunited with his owner later today. At the time of the fire, the occupants of the residence were not home. A neighbor’s granddaughter heard a smoke detector going off and alerted her grandmother who immediately called 911. The Williston Fire Department would like to congratulate 10 year old Celia and her grandmother, Mary, for their amazing job rapidly alerting firefighters of the fire. 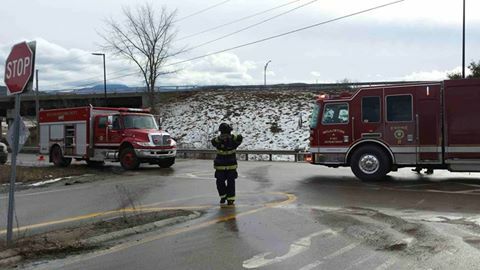 Thank you to our mutual aid who responded from the South Burlington Fire Local 3671, Burlington Vermont Fire Department, Richmond Volunteer Fire Department, Essex Junction Fire Department and Essex Fire Departments. A special thank you to the Williston Vermont Police Department for their help early in the incident, and the Shelburne Communications Center for dispatching. The cause of the fire is not considered suspicious and is believed to be electrical in nature. The Williston Fire Department responded with a total of ten firefighters staffing two engines, two rescues and the tower ladder. 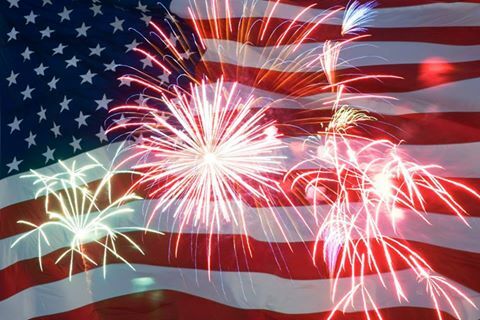 Click here: Fireworks Laws in VT to learn more about what Vermont law says about fireworks. July represents peak season for grill fires. Over 16,500 people are sent to the ER every year due to gas grills. We want to help you avoid both fires and injuries so please, take a look at this safety video produced by Essex Jct and Williston firefighters. 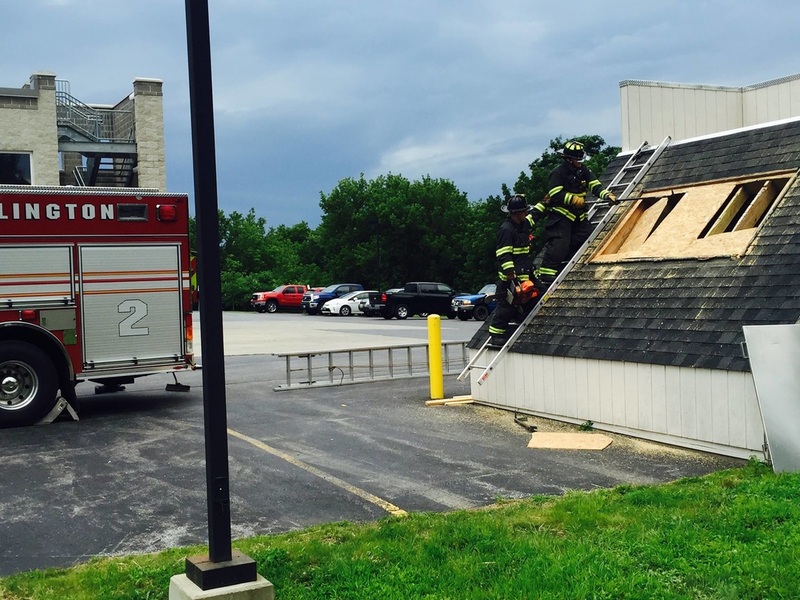 Each year, Underwriters Laboratories comes to perform aerial and ground ladder testing. This year, we caught a very nice day to be out testing the limits of a critical piece of equipment in our fleet. Last Monday night for Department training, Lesli and Corey from Timberlane Physical Therapy stopped in to teach us proper body mechanics when lifting and moving, as well as perform a basic physical diagnostic screening to show us where we were potentially at risk for back or other physical injuries/strains. This valuable training opened many of our eyes on the fact that as "occupational athletes", there is always work to be done to keep our minds sharp and bodies ready for whatever may come. Thank you Lesli and Corey for your informative training! 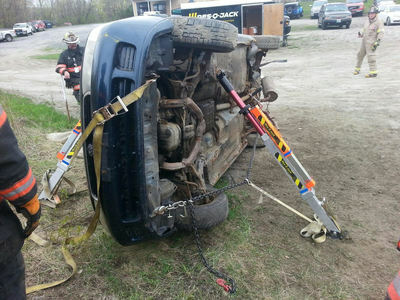 Last week Burlington Vermont Fire Department and Williston Fire Department recruits joined Senior Firefighter Kevin O'Brien at Rick's Towing & Repair Inc. for two days of vehicle extrication training. Recruits practiced stabilizing a vehicle in multiple scenarios, then gaining access to the vehicle for simulated patient removal. 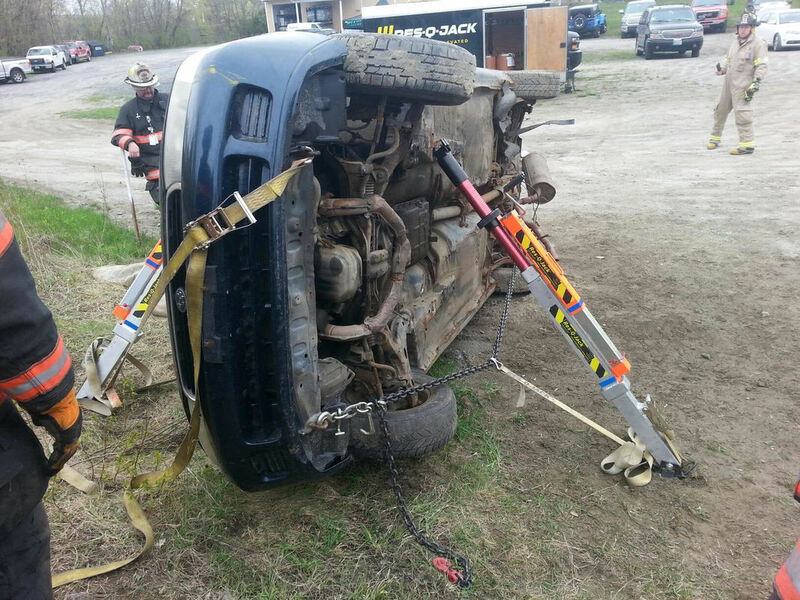 Thanks to extrication guru O'Brien for the knowledge, and Ricks Towing for their constant support and location. Today, we had the honor of presenting the first of hopefully many "Williston Heroes Award" to Mr. James Pocock. A man whose selfless act aided in saving the life of Paul Bristol. On Thursday, May 4th, 2017, Paul suffered a cardiac arrest while driving his tractor trailer on the interstate. After the vehicle crashed into the guardrail, James, who heard the crash from his post below I-89, went up to investigate, only to discover Paul was not breathing and had no pulse. James (with the assistance of two "strong country boys") pulled Paul out of the truck and began CPR. 5 minutes later, Williston Firefighters arrived and took over life saving treatment, ultimately shocking Paul's heart back into the proper rhythm and transporting him to the hospital. Paul walked out of the hospital with no deficit less than a week later. Without the bystander CPR administered by James in the moments after Paul's cardiac arrest, the outcome could've been far different. The team effort put forth by multiple groups of people coming together all with the same goal in mind is a true testament of the good in peoples hearts. Pictured below are James and Paul, along with the crew who responded that day: Chief Ken Morton, Captain Tim Gerry, and Lt. Ryan Prouty. Not pictured are Sr. FF Dave Auriemma, and FF JJ Ouellette. Congratulations James and the entire crew on a job well done with an amazing and heartfelt outcome. Thank you also to The University of Vermont Medical Center medical staff, Vermont State Police troopers, Vermont DMV officers, and Williston Vermont Police Department officers for their rolls in this incredible call. WILLISTON, VT - Just before 8pm on Sunday, May 21, 2017, the Williston Fire Department was dispatched to a field in the area of Spruce Lane for a report of an ATV rollover. An update from Shelburne Communications Center stated that there were two patients, one of which was possibly trapped under the vehicle. 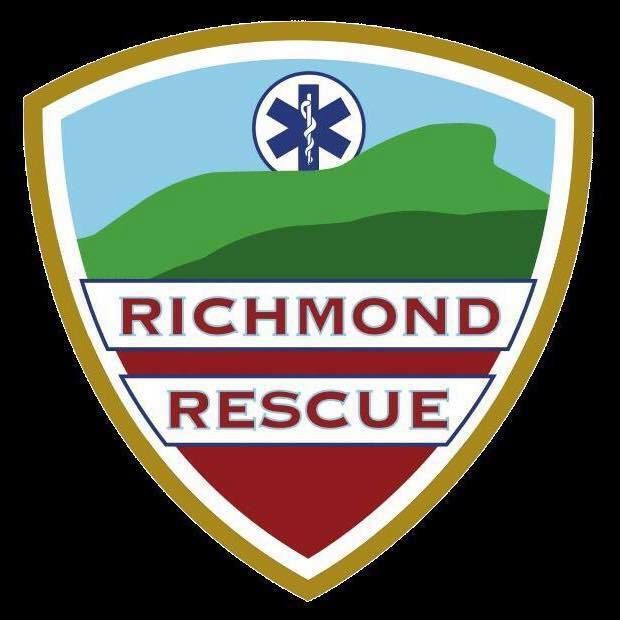 A working incident was called and mutual aid was requested from Richmond Rescue. Arriving firefighters confirmed two patients but that neither were trapped. Thanks to the quick actions of bystanders, the vehicle was able to be lifted off the person initially underneath the ATV. 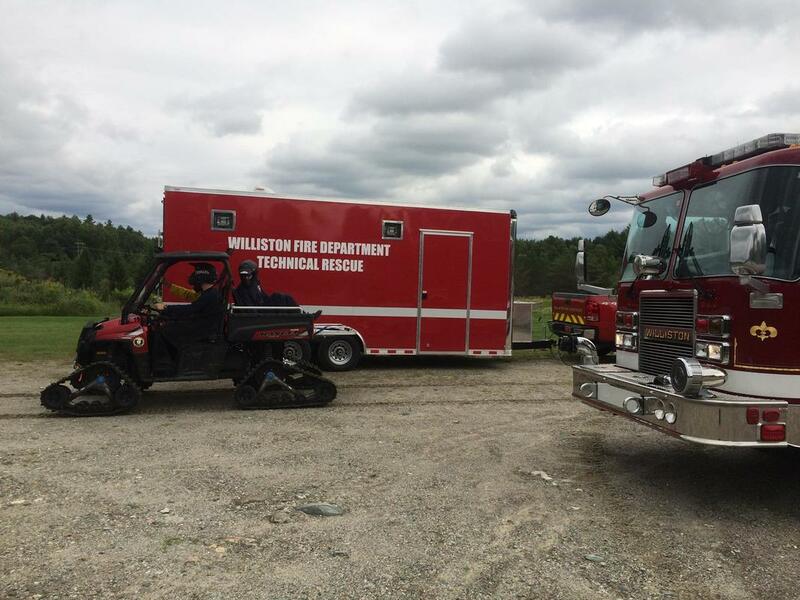 Due to the location of the call, the Williston Fire Department technical rescue UTV was requested. 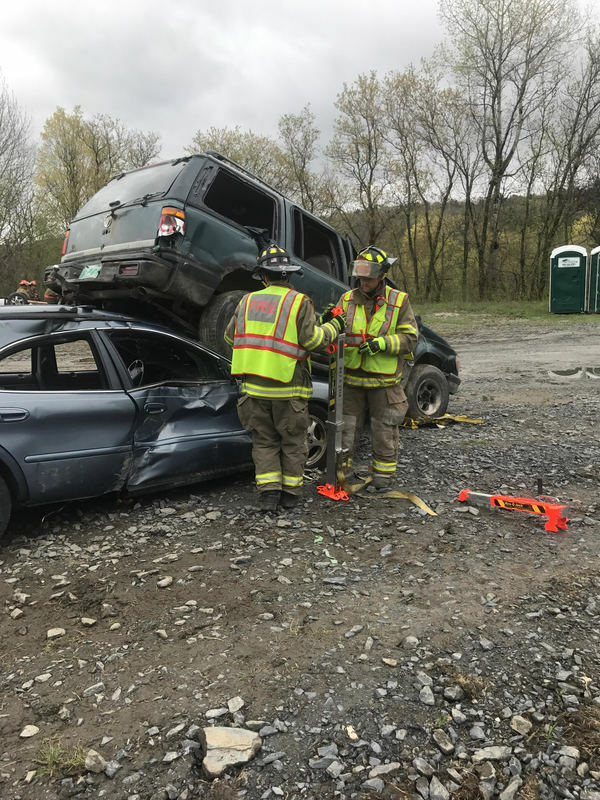 After removing both patients, Williston Rescue and Richmond Rescue each transported one patient to the The University of Vermont Medical Center with injuries. The Williston Fire Department responded with an engine, two ambulances, the technical rescue unit and a command car with a total of 11 personnel. Special thanks to the Essex Junction Fire Department for covering our station and Richmond Rescue for providing an additional ambulance on scene. 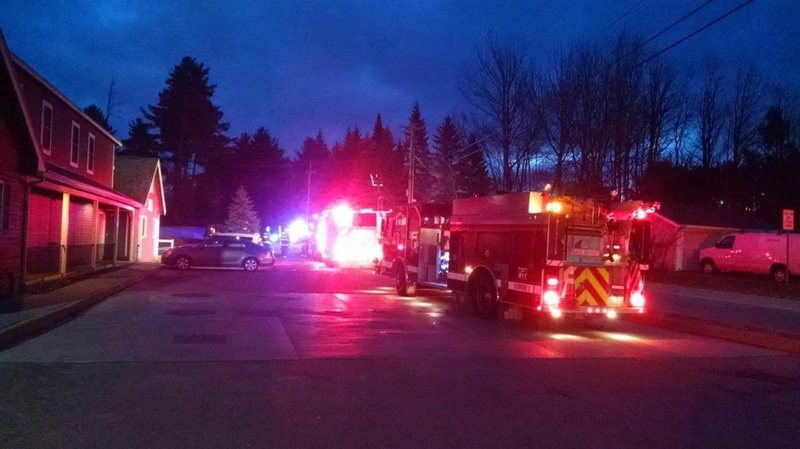 WILLISTON, VT – At 6:54am the Williston Fire Department was dispatched to a report of a fire at 357 Avenue C, the Casella Materials Recycling Facility. While enroute, a column of smoke was visible from Industrial Avenue, confirming a working fire. Arriving units found a significant amount of smoke coming from a large overhead door. A worker on site confirmed with firefighters that a piece of construction equipment was on fire inside the building. Lt. Sean Soper called for a working incident just as Assistant Chief Doug Hulbert arrived and assumed command. The crew from Engine 2 and Rescue 2 knocked the fire down within three minutes. Additional firefighters from Tower 1 and Engine 1 assisted with ventilation of the large commercial structure. Damage was confined to the vehicle on fire with slight extension to the area around it. The fire is not considered suspicious at this time. The building was unoccupied at the time of the fire. By chance, an employee was letting a vendor into the facility when they smelled smoke. If it was not for the swift actions of the employee calling 911 the situation could’ve been far worse. The Williston Fire Department responded with two engines, a tower ladder, a rescue, and a command vehicle with a total of 12 personnel. The building was turned back over to the owner within an hour and a half. The Williston Fire Department, a combination career/call Department located in Chittenden County, Vermont, has one (1) full-time opening for the position of Career Firefighter/Paramedic. Candidate must have current CPAT certification at the time of hire. This is a vacant position with an immediate start date available. We are looking for a self-motivated, detail oriented, dedicated individual to serve on our Fire/EMS career team. The candidate must have a strong work ethic, Fire and EMS experience, and a clean driving record. This individual will work as a member of the career staff while assisting with the development of our call staff. Duties will include, but are not limited to: Response to fire and emergency medical calls within the Town of Williston and to surrounding mutual aid communities. Working with the Fire and EMS call staff to include scheduling, tracking certifications and training requirements, and ensuring shift requirements are being met. Participate in Fire and EMS training events and in the development of lesson plans. Assist with fire prevention and public education programs. Administrative and operational duties associated with daily firehouse operations. ​Career staff work a 24-hour on / 48-hour off shift schedule which includes nights, weekends and holidays. Salary and benefit information is available upon request via e-mail to admin@willistonfire.com. Williston Fire is an equal opportunity employer. 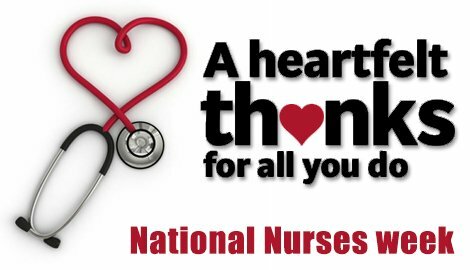 It’s National Nurses Week this week. As firefighters and EMTs, we interact with nurses every single day in some fashion or another. The care and professionalism exhibited with us as fellow providers and more importantly the patient population we both serve is exemplary. Nurses are truly the backbone of the medical system, which often goes unnoticed. For the countless hours spent looking after those that need it most, thank you for your dedicated service. Thank you also for what you do each and every day to brighten the lives of those you touch. It is, and will continue to be, a pleasure working with you all. 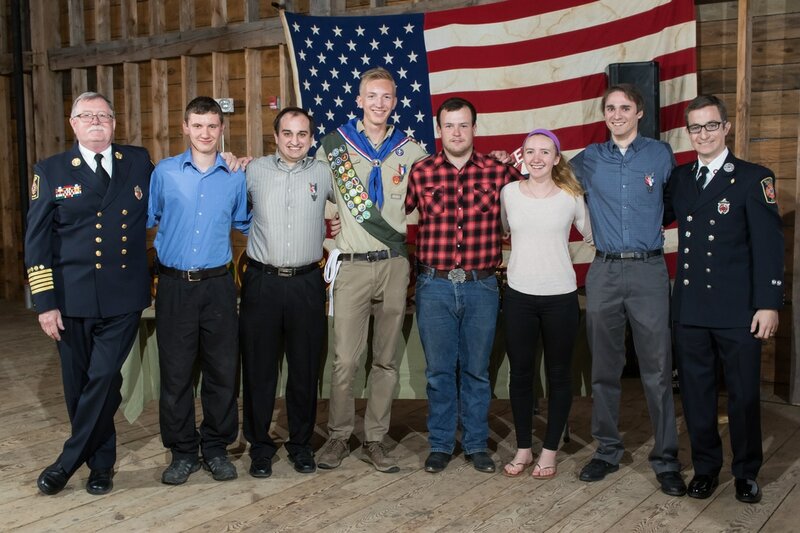 Yesterday, Fire Chief Ken Morton and Sr. FF Prescott Nadeau had an opportunity to attend the Scout Court of Honor and watch Doug Schmidt receive the highest honor in the Boy Scouts as he achieved the rank of Eagle Scout. Doug chose to do his Eagle Scout project with the Williston Fire Department. He endeavored to create a public service announcement which would aid in the safety of both emergency responders and the public. Keep your eyes open for his PSA as we will be putting it out to the public on our FB page and numerous other platforms in the coming weeks. Congratulations Doug on your amazing accomplishment. We cannot wait to see where you go from here! Pictured below are members of the Hinesburg Fire Department flanked by Chief Morton and Sr. FF Nadeau. 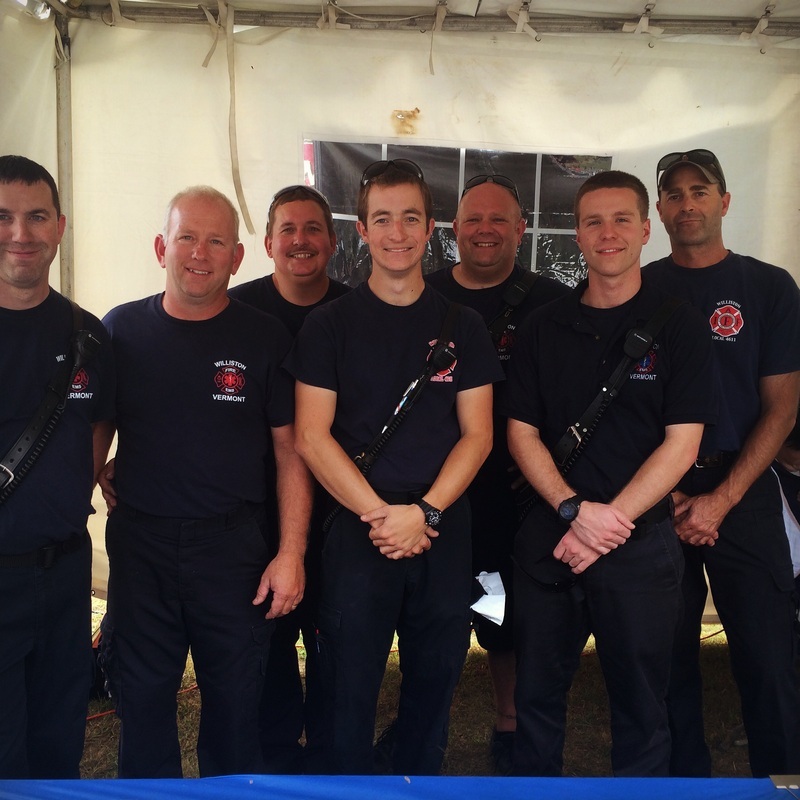 Doug (front and center) also diligently serves on the HFD as a firefighter and soon to be emergency medical responder. 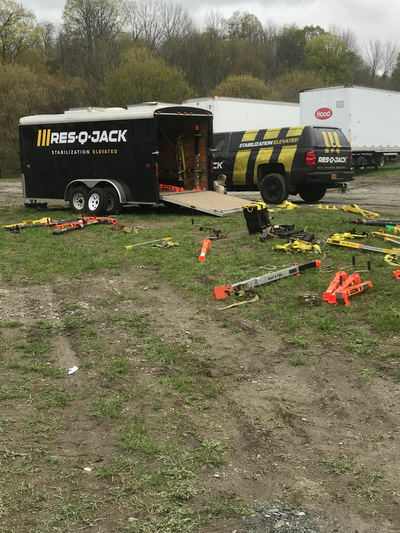 Williston firefighters joined other firefighters from all over the state this past Friday and Saturday to learn about vehicle stabilization using Res-Q-Jack systems. The two full day classes were well attended and provided phenomenal opportunities for members to work with other neighboring Fire Departments on critical skills used to safely remove patients from vehicles in a wide variety of situations. In attendance from the Williston Fire Department were Tony Simanskas, David Auriemma, Jeremy Harriman, Travis Whitmore, and Matt Ammann. Yesterday, May 4, 2017, was International Firefighters Day! 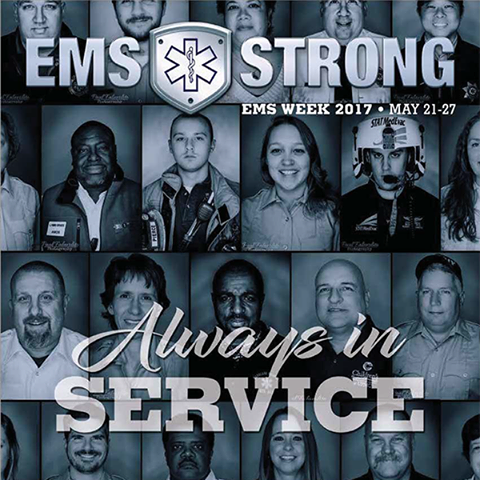 While it is a day to recognize and celebrate firefighters all over the world, it’s important to realize that a great deal of firefighters also serve in some form of Emergency Medical Service (EMS). 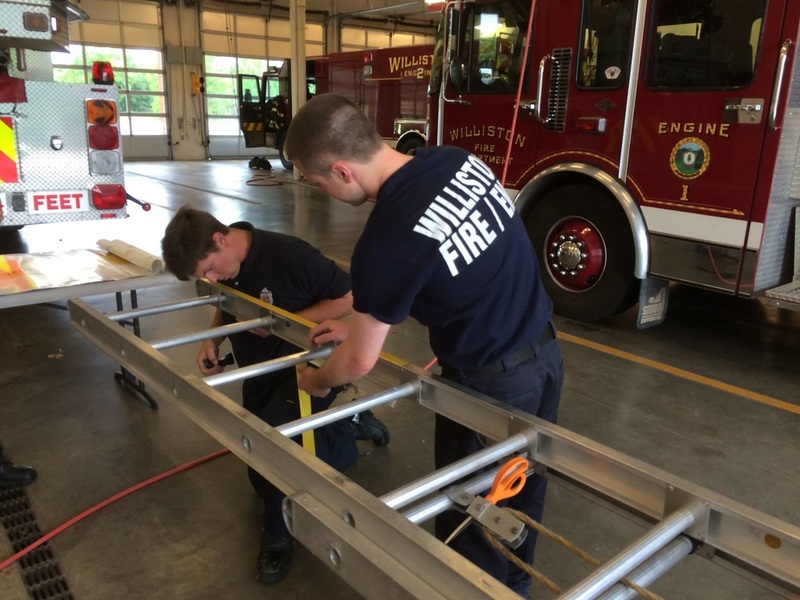 We are pleased to report that nearly all Williston Firefighters are trained in some level of EMS to help serve the public. Yesterday we received a call for an unresponsive male in a tractor trailer unit on the side of Interstate 89. An update provided by Shelburne Communications Center reported CPR was in progress. Fire and EMS units were on scene within five minutes and continued life saving efforts including quality CPR and the use of an automated external defibrillator (AED). Approximately eight minutes later, the patient regained a pulse and began breathing on his own. The patient was transported to the The University of Vermont Medical Center for further care and evaluation. While this incident was unfolding, two additional medical calls occurred at the same time. Special thanks to Saint Michael's College Fire and Rescue for handling the second call and an additional crew from Williston for taking the third. This individual is not out of the woods yet. The crew on scene and all of us at the Williston Fire Department are thinking of him and his family and hoping for the very best. Thank you to all the people who were integral in making this call a success, including the bystander who heard the crash and walked up to the vehicle, pulled the man out and began bystander CPR: Your efforts greatly assisted in this man leaving the scene with pulse and breathing on his own. WILLISTON, VT – Williston firefighters had unique opportunity just after 1pm on the afternoon of April 30, 2017. A call came in for a report of a female in active labor, with an update just minutes later that the baby had delivered. First arriving firefighters found mom, dad, and a baby girl all in good health. Due to the semi-unplanned nature of the delivery, firefighters assessed both mom and baby to ensure everything was okay, then quickly transported them to the University of Vermont Medical Center for further evaluation. Our job can often be tough due to the nature of some of the calls we see. When any of us have the opportunity to participate in bringing new life into this world, it often renews our sense of why we do what we do. Congratulations to Lt. Keith Baker, Senior Firefighter Tony Simanskas, Call Lt. George Shortsleeves, Firefighter Travis Whitmore, Firefighter Corey Hill and Emergency Medical Technician Naomi Delabruere for their roles in the call. 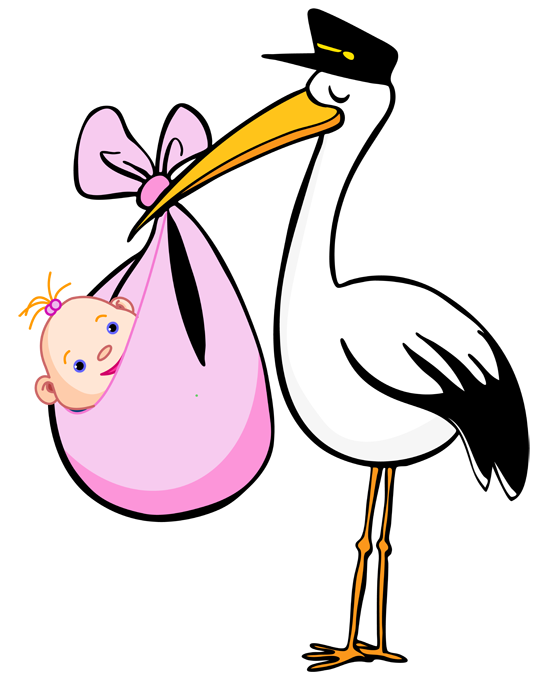 Most importantly however, congratulations to the new mom and dad on the delivery of their healthy, beautiful baby girl! 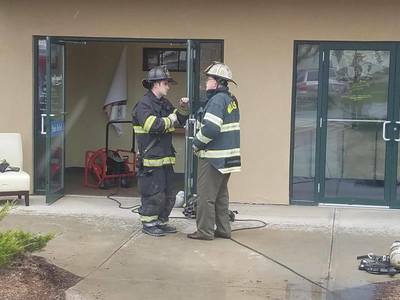 WILLISTON, VT – At 1:30pm on Tuesday, April 25, 2017 the Williston Fire Department was dispatched to 2141 Essex Road for a reported dryer smoking and sparking. First arriving firefighters quickly discovered that the dryer was actively on fire, and extending into the ceiling with smoke entering the hallway. Williston Firefighters were on the scene in fewer than three minutes and able to confine the fire to one room. 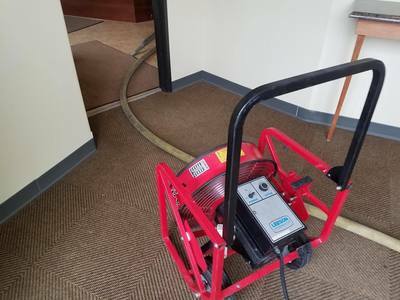 Crews utilized large ventilation fans to clear out the smoke from the building and allow tenants to reoccupy an additional series of businesses neighboring the salon. The salon will remain closed for an unknown period of time for restoration and maintenance work to be performed. Fire Department personnel were just leaving a meeting at the station, allowing five firefighters to arrive on the scene within three minutes, and another two personnel within four minutes. The initial number of firefighters on the scene in a short period of time allowed for the fire to be put out rapidly with minimal damage overall and no injuries to firefighters or occupants of the salon. Fire Chief Ken Morton would like to thank the occupants of the building for calling 911 early and closing the door to the room on fire. These two items largely contributed to the minimal damage and quick extinguishment. The Williston Fire Department responded with two engines, a rescue, a tower ladder, and a command vehicle with a total of eleven personnel. While the exact cause of the fire is not known at this time, it is not considered suspicious. ​Thank you Lisa and Ginger! As we wrap up National Public Safety Telecommunicators Week, we would like to specifically thank two groups of people: the dispatchers at Shelburne Communications Center and our two Williston Fire Department dispatchers, Lisa and Ginger. As the sometimes-neglected branch of emergency services, you deal with as much of an emotional roller coaster as we do on the front lines. We recognize and appreciate the importance of your positions each day. Whether you are coaching someone how to do CPR, handling multiple mutual aid requests at a structural fire, or anything in between, you are both professional and prompt. Your calm demeanor and reassuring voice on the radio keeps things moving smoothly. On behalf of all of us at the Williston Fire Department, thank you! 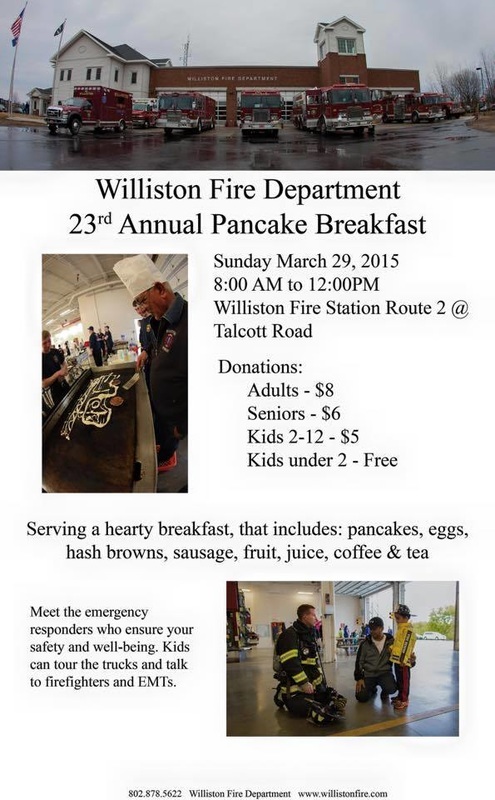 On behalf of all of us at the Williston Fire Department, we would like to thank all the folks who made it out to our 25th Annual Pancake Breakfast. Being our 25th year was special enough, coupled with the fact that we broke our record with just over 1,100 people attending made it that much better. Thanks to all the mutual aid Departments who showed up as well, bringing personnel and apparatus. You continually show the definition of brother and sisterhood. 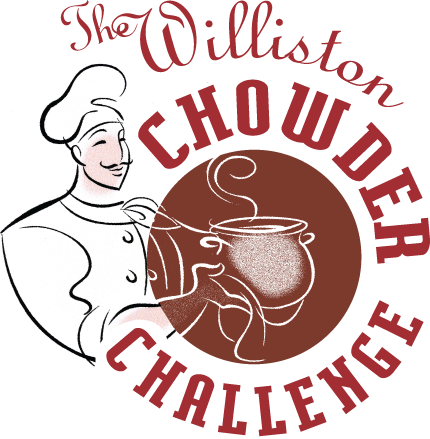 We could not have done it without the help of not only all the generous donors who donated food and drinks, but also the men and women of the Williston Fire Department who put hours of time into making sure everything went off without a hitch. Thank you again, it means a great deal to us seeing and interacting with so many members of our community both local and extended. We cannot wait to see you all next year! 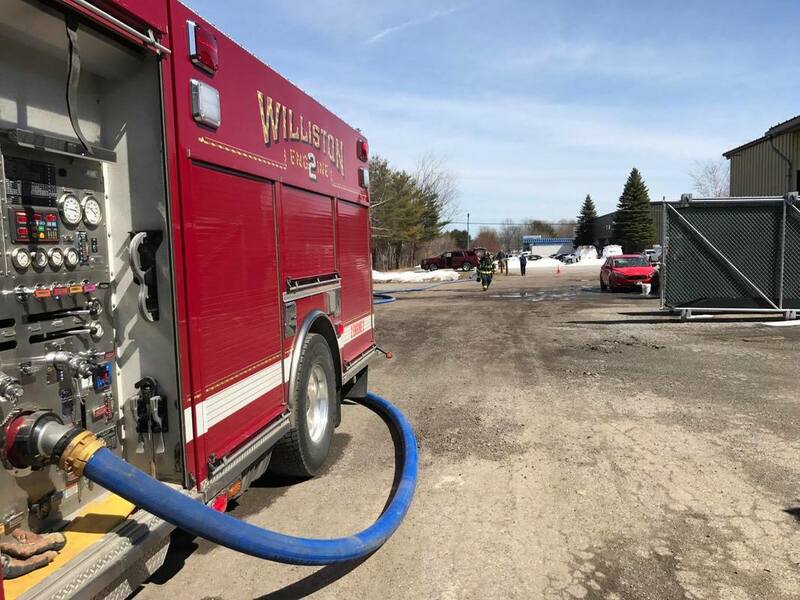 WILLISTON, VT - Just after 1pm on Monday, April 3, 2017, the Williston Fire Department was dispatched to 36 Dorset Lane for a reported dumpster on fire. Chief Ken Morton arrived on scene fewer than five minutes later, reporting a compactor actively on fire with no threat to nearby structures. Due to our ambulance being at the hospital, a mutual aid Engine from the Essex Junction Fire Department was requested by command. 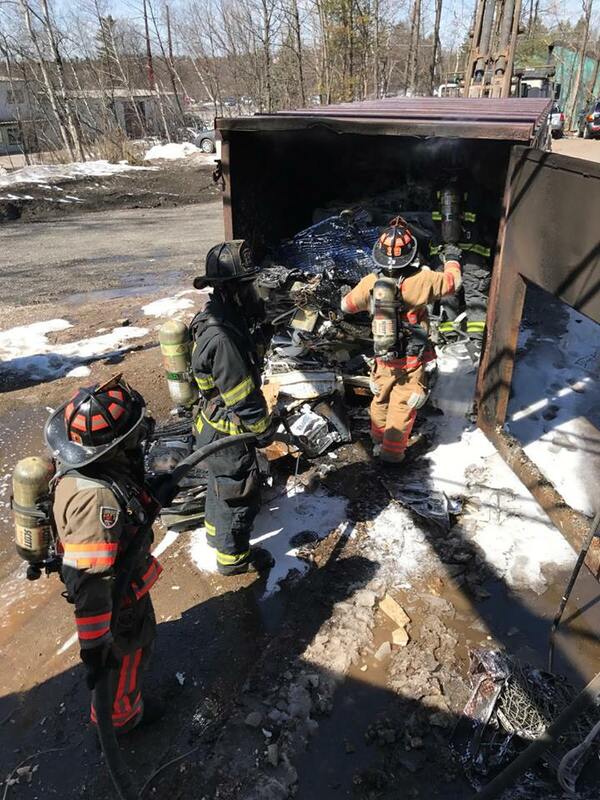 The fire was placed under control quickly, however, crews needed to wait until the owner could empty the contents of the compactor to ensure complete extinguishment throughout. 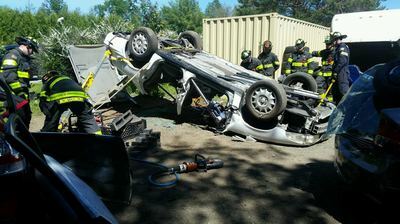 The Williston Fire Department responded with two engines, a command car and a rescue. Special thanks to the Essex Junction Fire Department who responded with an engine and utility. The cause of the fire is unknown, though it is not considered suspicious in nature. All Fire Department units were in service within two hours. On March 25, 2017, Firefighters from all over New England joined Williston, South Burlington Fire Department and Burlington Vermont Fire Departments attending a phenomenal seminar by Dr. David Griffin. Williston Fire Department is hiring! 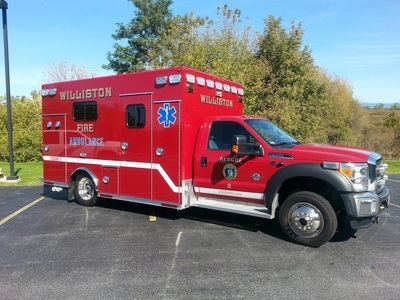 The Williston Fire Department, a combination career/call Department located in Chittenden County, Vermont, has one (1) full-time opening for the position of Career Firefighter/EMT. Minimum qualifications are Firefighter I, AEMT, and current CPAT certification. Paramedics are strongly encouraged to apply, as we are in the process of applying for our Paramedic license. This is a vacant position with an expected start date around mid-May, 2017. Response to fire and emergency medical calls within the Town of Williston and to surrounding mutual aid communities. Working with the Fire and EMS call staff to include scheduling, tracking certifications and training requirements, and ensuring shift requirements are being met. Participate in Fire and EMS training events and in the development of lesson plans. Assist with fire prevention and public education programs. Administrative and operational duties associated with daily firehouse operations. Career staff work a 24-hour on / 48-hour off shift schedule which includes nights, weekends and holidays. Salary and benefit information is available upon request via e-mail to admin@willistonfire.com. 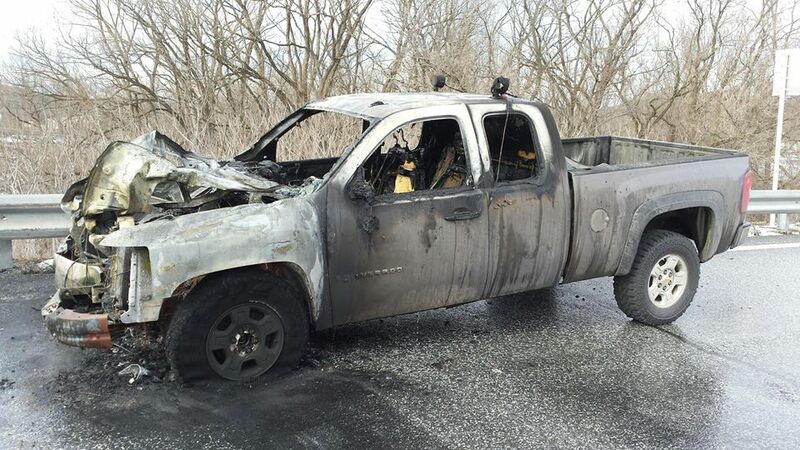 On the afternoon of February 8th the Williston Fire Department responded mutual aid to Richmond on the I-89 exit 11 northbound off ramp for a fully involved vehicle fire. Williston provided an engine with manpower to assist. There were no injuries, though the vehicle was deemed a total loss. 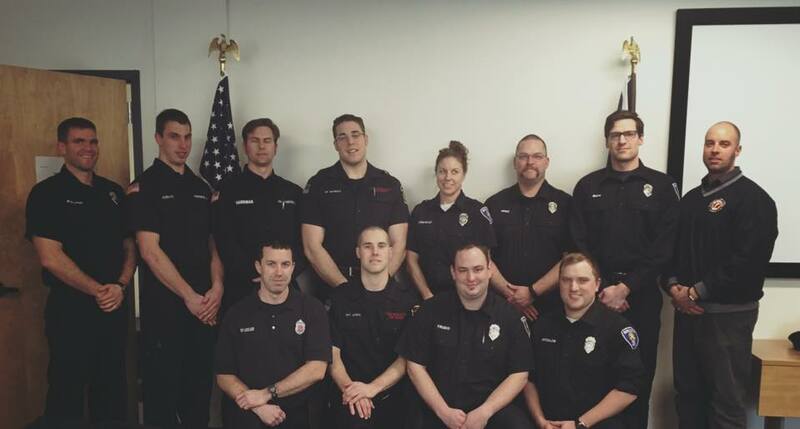 Firefighters from Williston, Burlington and South Burlington Fire Department took part in a 40+ hour long class allowing them to become certified Fire Instructors. This class puts them in a position to not only assist members of their own department but also to inspire the minds of the future as some of them move on to potentially work as State Instructors. 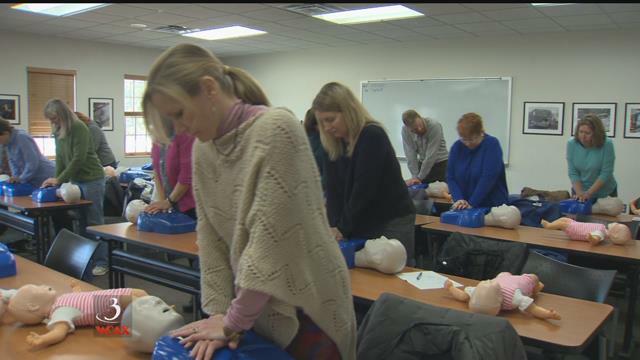 WILLISTON, Vt. -Williston is making a push to become a heart-safe community. It started Tuesday with training for community members at the Williston Fire Department. They learned the basics of CPR and defibrillator training from Lt. Keith Baker. The department is donating defibrillators they don't need to town buildings. They hope training like this will prepare the community to deal with cardiac issues during an emergency. "This is kind of a step toward that. We would like to place defibrillators around some public buildings that don't already have them," Baker said. Long term, Baker says the goal is to make Williston a heart-safe community. They have to meet standards from the American Heart Association, like having a certain number of defibrillators around town and taking classes. There are only three right now in Vermont: Bennington, Stowe and Richmond. 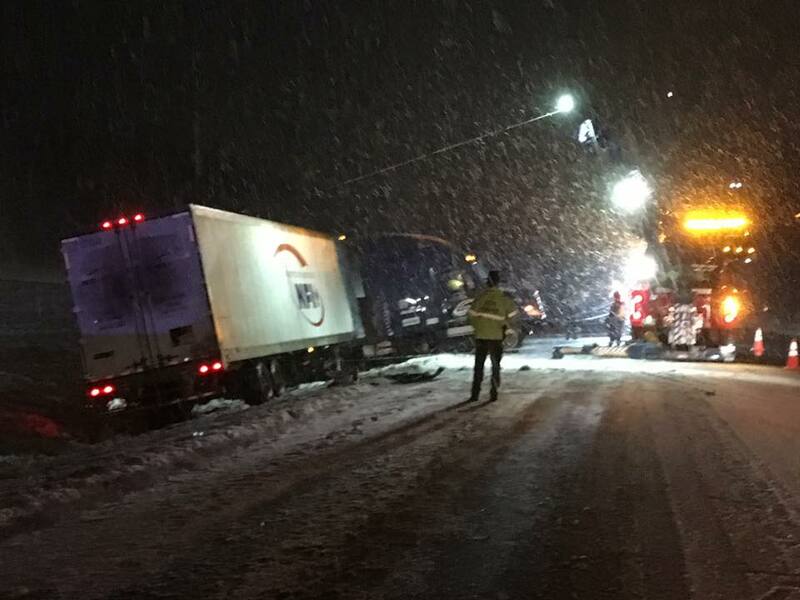 A series of quick storms left the interstate and secondary roads slick for the morning commute and caused this tractor trailer hauling food to lose control and jack knife just north of Exit 12 on Interstate 89 northbound. The driver was evaluated but denied transport to the hospital. Special thanks to Williston and Vermont State Police who provided additional traffic control and scene safety, and to Ricks Towing who provided two big rig wreckers for vehicle removal. Strong wind and some residual water on the interstate led to black ice, which most likely caused this vehicle to crash into the median on I-89 just north of exit 12. The lone occupant was transported to the hospital with injuries deemed non-life threatening. ​Williston firefighters responded to three other accidents within the same hour, two of which were also on the Interstate and due to poor road conditions. We would like to remind all drivers that if it looks wet, it could be black ice and should be treated with extreme caution. 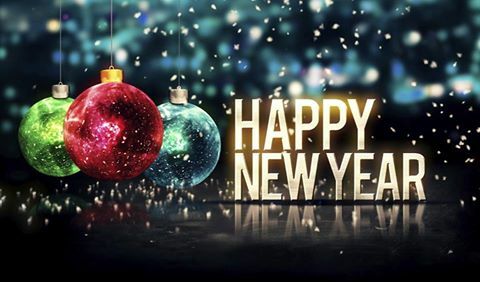 The men and women of the Williston Fire Department would like to wish you all a happy New Year! Thank you all for your support in 2016! We are excited to see what new adventures 2017 brings. As always, we will be here for you. Stay safe out there folks! See you in 2017. 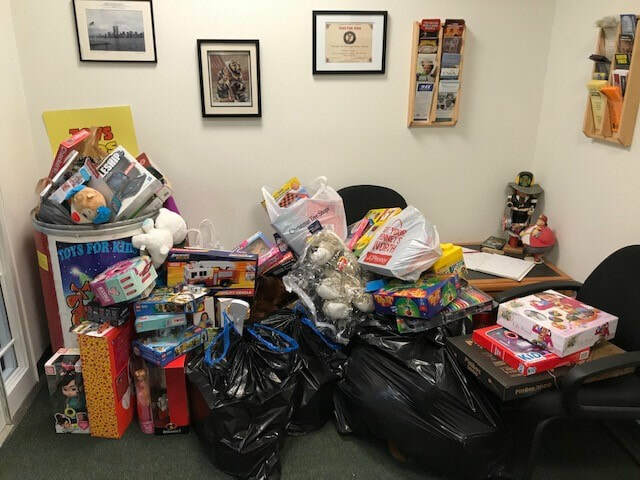 As we sit here on Christmas Eve, Williston Firefighters would like to extend a huge thank you to the many residents and community members who donated to the "Toys for Kids" barrel in our lobby. Last year, they collected 32 barrels of donated toys which seems amazing, until you compare it to your donations THIS year, which topped 48, including a tricycle and tool bench! This community's generosity never ceases to amaze us. Thank you for making hundreds of families Christmas a little happier and us a little more proud to call this place home. 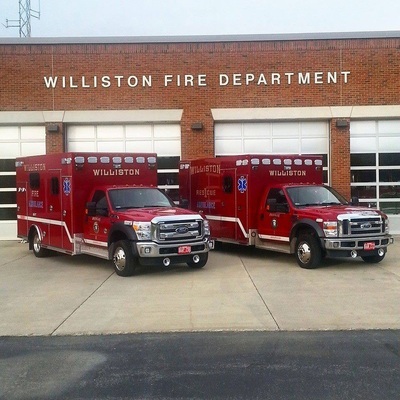 The Williston Fire Department, a combination career/call Department located in Chittenden County, Vermont, has one (1) full-time opening for the position of Career Firefighter/EMT. Minimum qualifications are Firefighter II, AEMT, and current CPAT certification. Paramedics are encouraged to apply, as we are in the process of exploring transition to a Paramedic service. Career staff work a 24-hour on / 48-hour off shift schedule which includes nights, weekends and holidays. Salary and benefit information is available upon request via e-mail to admin@willistonfire.com. This is a vacant position with an immediate start date available. ​On the morning of December 12, 2016 Williston Fire and Rescue received a call for a man wandering in the middle of the road with no shoes on. With a steady snow falling and temperatures hovering above freezing, concern for hypothermia and other medical issues were quick to our minds. When we pulled on the scene, the man was found to be in a bystander’s vehicle. The bystander stated she was on her way to work when she saw the man walking in the road and noticed he had no shoes on. She immediately stopped and called for EMS, however, instead going about her day, she asked if he wanted to warm up in her car, and even gave him her scarf. As we took over care of the gentleman, we thanked the woman, but put our focus on ensuring he was okay. By the time things had calmed down a bit, we realize the woman had left the scene. It was only after we dropped the gentleman off at his home that we realized the scarf he was wearing belonged to our good Samaritan. 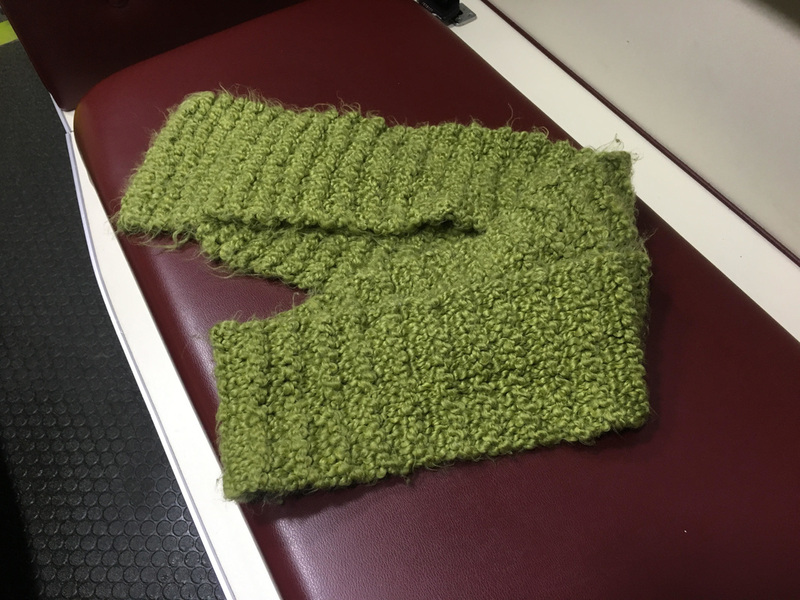 Facebook has always been a solid information outlet, so we decided to post a message not only thanking the good Samaritan, but also seeing if anyone knew her and could relay that we had her scarf in our possession. Within hours, the post had been shared nearly 200 times and liked more than 500 times with numerous positive comments. By evening, the shares were approaching 400 and someone finally made the connection, leading our good Samaritan, Lynn, to us. Tuesday evening, December 13th, Firefighters were able to reunite Lynn with her scarf and offer her a card signed by the Department indicating our sincere thanks for such a selfless act of love. We leave you all with this: the word needs more people like Lynn. Little acts of kindness during this Holiday season can make all the difference in peoples lives. It does not require cash or credit, just a moment of time to reach out to someone in need and show them the world is indeed inherently good. 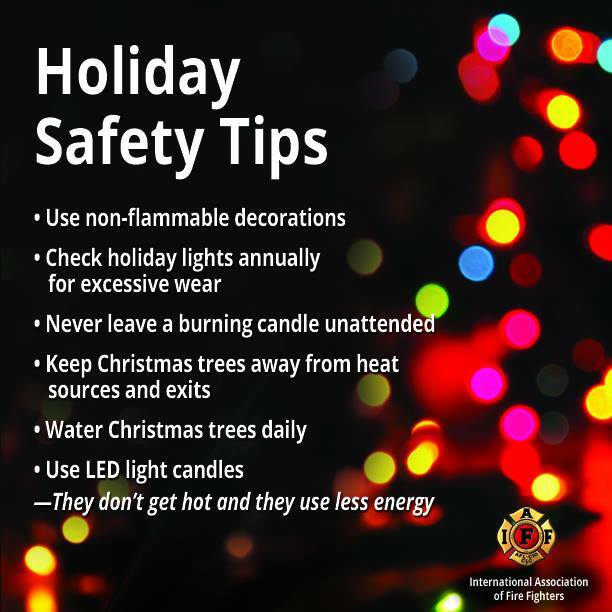 Thank you all for sharing this message and keeping this season happy and safe. ​Don't forget to #MoveOver this winter! 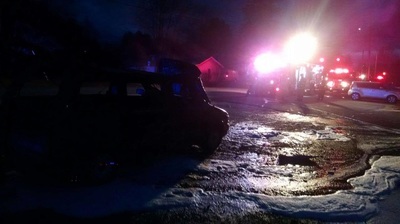 Two engines and a rescue responded to this single car accident off North Williston Road on November 21st. Sending two fire engines to a car crash not only provides fire suppression capabilities and manpower, but also a much needed safety buffer for the patient and emergency workers on scene. As the roads continue to be snowy and icy this winter, please remember to #MoveOver for red, blue or amber lights on the side of the road. It could save our lives! 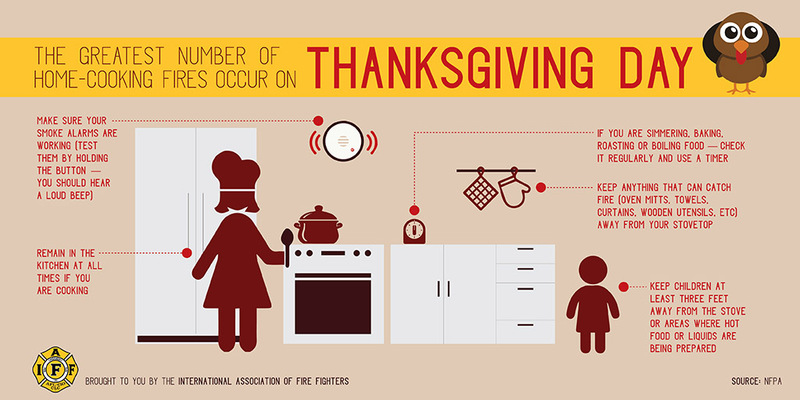 ​Williston Fire Department and IAFF Local 4611 present Thanksgiving Safety Tips to keep you and your family safe. 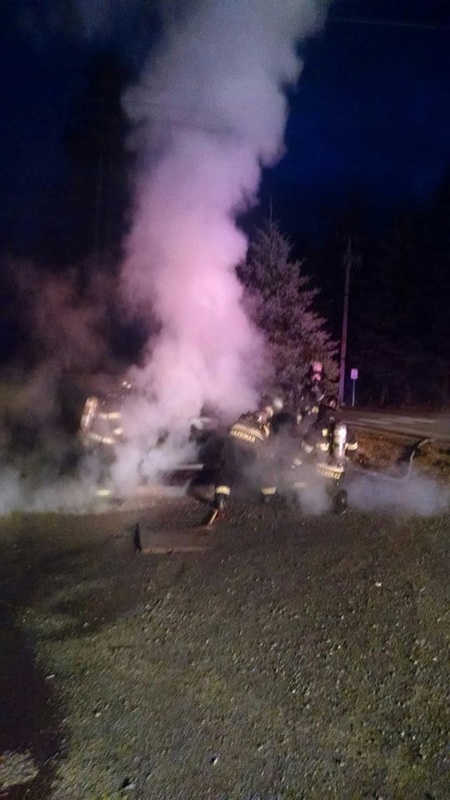 Just after 4am on October 26th, 2016, the Williston Fire Department was dispatched to North Williston Road, near the S-curves, for a single vehicle rollover crash with unknown injuries and a report that the vehicle might be on fire. An update enroute stated that the vehicle was fully involved in fire but the occupant had safely self extricated. Chief Ken Morton arrived and established command, directing Engine 2 to extinguish the fire and Rescue 2 to provide patient care. Three firefighters from Engine 2 had the fire out in fewer than three minutes, while the two person crew of Rescue 2 assessed, treated, and ultimately transported the lone occupant of the crash to the hospital with non life threatening injuries. Williston Fire Department had a total of seven personnel respond in an Engine, Rescue and Command Unit. The Williston Vermont Police Department temporarily closed North Williston Road until the fire was out and the vehicle was removed. 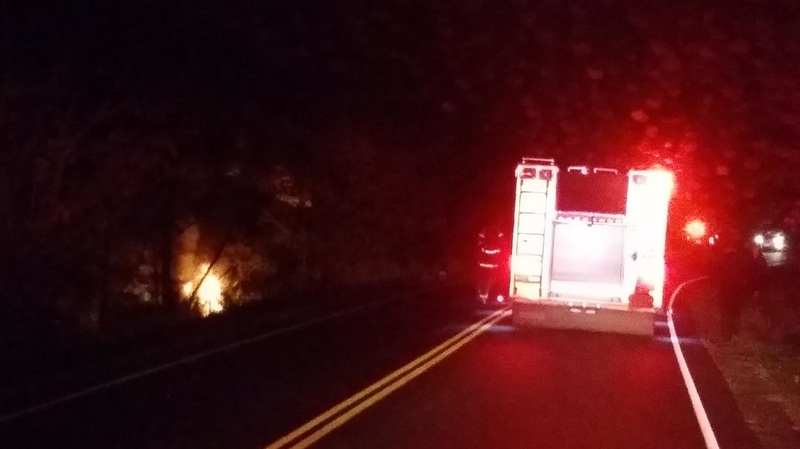 Just after 7am this morning, the Williston Fire Department was dispatched to a reported brush fire off Bradley Lane. Units arrived to find a large wooded area with a smoldering fire extending well into the underbrush. Mutual aid was requested for manpower and tankers from Shelburne Fire Department, UJFD, Hinesburg Fire Department and Essex Fire Department. The fire was fully extinguished in a little over three hours. Williston Fire Department responded with two engines, a rescue, our brush response unit and a utility truck, with a total of seven personnel. Special thanks to the mutual aid partners who, as always, are a pleasure to work with. 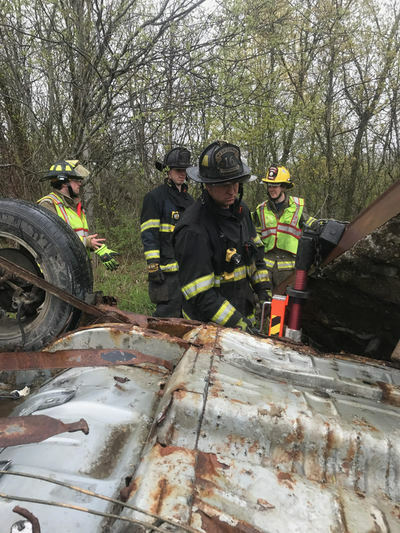 Later that same day, the Williston Fire Department was dispatched to Van Sicklen Road for a single vehicle rollover with one occupant reported trapped inside. First arriving Firefighters stabilized the vehicle and confirmed one patient needed to be extricated. 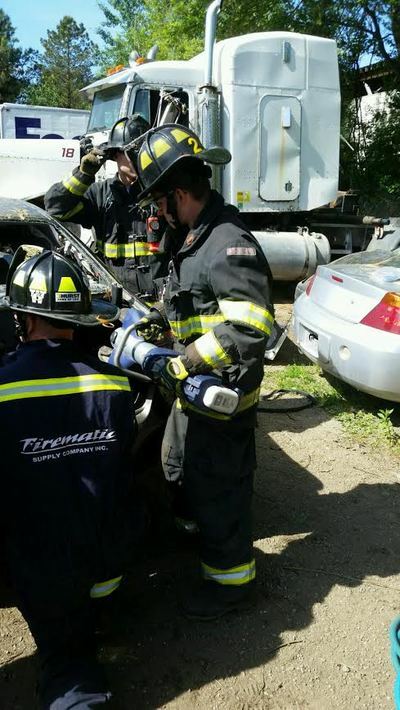 Eight Firefighters from two engines and two rescues extricated the patient in short order, whereupon the patient was transported to the The University of Vermont Medical Center with non life threatening injuries. Thank you to the Essex Junction Fire Department for covering the Town while WFD worked the extrication. The Williston Fire Department would like to thank the dozens of people from all over the State who have sent messages, called, brought food, and/or checked in on Facebook over the past two days. This community has been rocked by a tragedy of unspeakable terms. 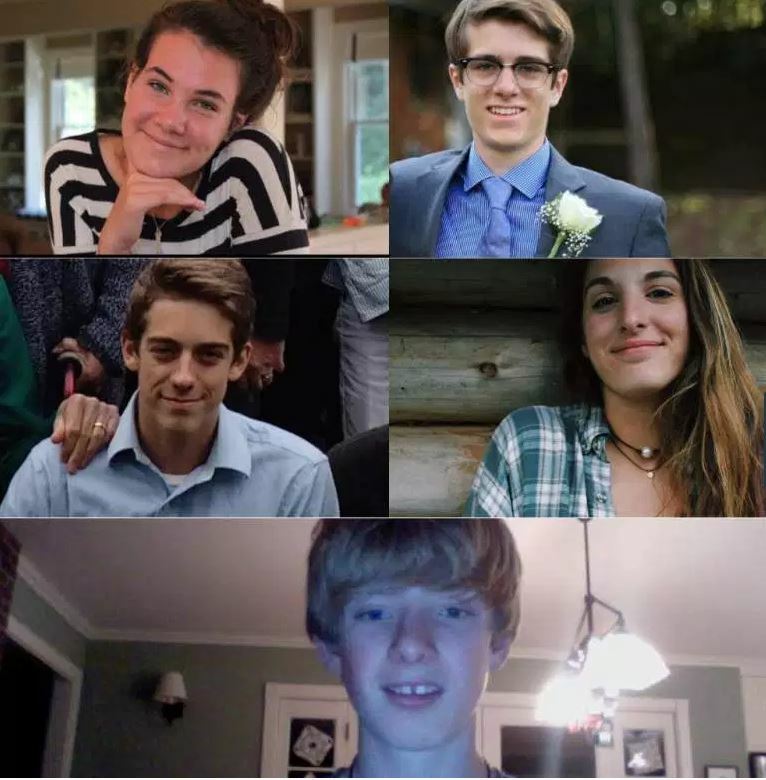 Still reeling from the loss of five young people, Vermonters have done what we do best: rallied around each other. The support that has been given from not just our Firefighting community, but the community as a whole, has been amazing. The emergency crews that responded that night, and those that continue to protect this Town are extremely appreciative of the love and support from all of you. 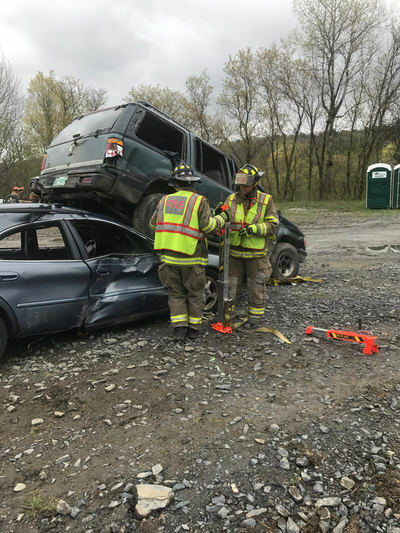 WILLISTON, VT – Just before midnight on October 8th, Williston Fire Department was dispatched to a report of a vehicle accident on Interstate 89 in the median. An update from dispatch was that Police Officers on the scene with a vehicle on fire and possible entrapment. Just before crews turned onto the interstate, Police Officers were heard on the radio reporting that an additional vehicle was traveling the wrong way on the interstate at a high rate of speed. Almost immediately after that radio report, Police Officers radioed that the car had been involved in separate car crash and that fire and rescue services were needed directly. Upon arrival of initial Fire Department units, firefighters found two vehicles on fire, including one police cruiser, and seven other vehicles, all with moderate to severe damage. Bystanders reported numerous people injured or trapped in almost all of the vehicles. Fire command immediately requested additional resources from multiple neighboring Fire and EMS Departments. 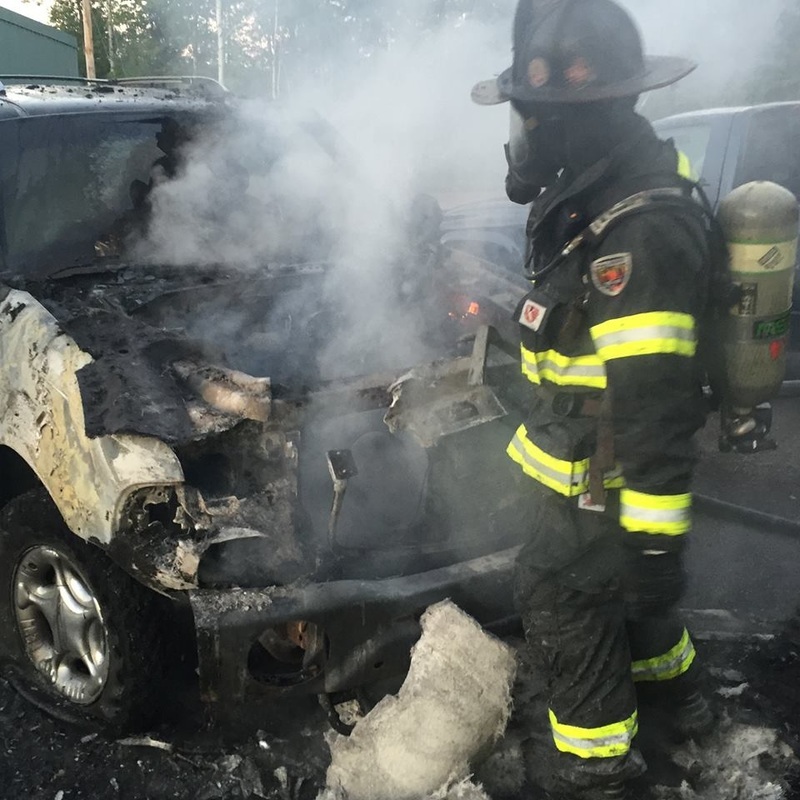 Firefighters then split their resources and began treating patients while also extinguishing the two vehicle fires. The Williston Fire Department was very thankful for the many bystanders who stopped and rendered aid prior to the arrival of emergency services. A total of five patients in varying conditions were transported by four ambulances. Five additional patients were declared deceased on the scene. 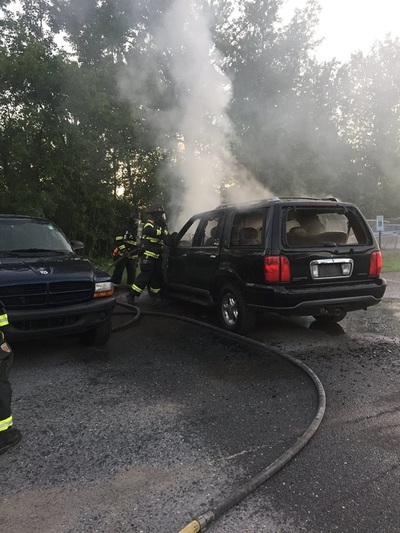 Three neighboring Fire Departments provided mutual aid assistance with equipment and manpower, including covering the Town while firefighters were committed to the interstate. Once all the patients had been transported and the fires had been extinguished, the scene was turned over to the Vermont State Police to being their investigation. The Williston Fire Department responded with a total of five personnel on three engines and a rescue. Special thanks to South Burlington Fire Department, Richmond Volunteer Fire DepartmentEssex Junction Fire Department, as well as Richmond Rescue, Saint Michael's College Fire and Rescue, UVM Rescue, Essex Rescue, Inc.,Colchester Rescue Squad Shelburne Communications Center and South Burlington’s ambulance for their assistance. There are no words that can truly describe the horrific events as they occurred last night. The Williston Fire Department would like to extend our deepest condolences to the family and friends of those lost in this tragic event. Please keep all those involved in your thoughts and prayers. 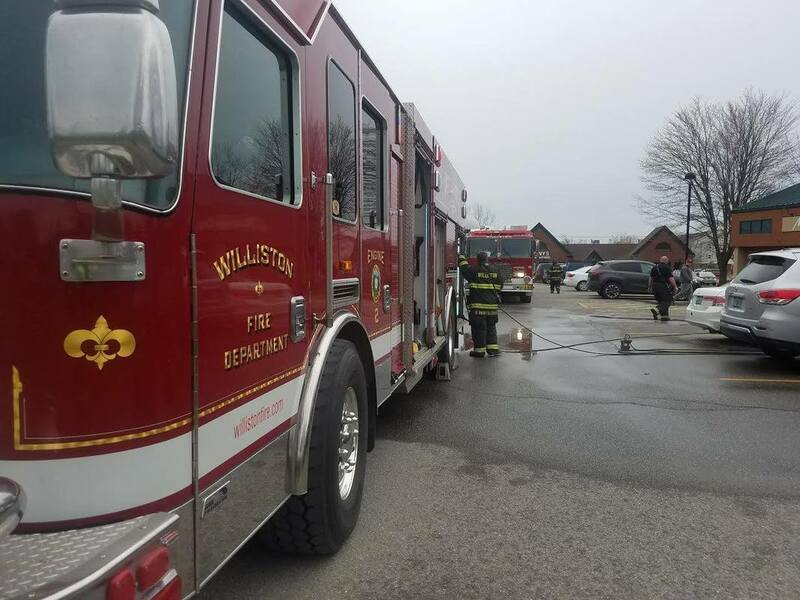 WILLISTON, VT – Between 11am and 12:30pm on October 7th, Williston Firefighters responded to a total of twenty calls for service stemming from a strong odor of natural gas coming from multiple locations around Williston. There were no credible gas readings at any of the locations that firefighters checked, allowing businesses and schools to be re-occupied in less than two hours. The cause of the odor stemmed from the scheduled filling of the new Vermont Gas pipeline from Redmond Road in Williston to Lincoln Road, near the Hinesburg border. Vermont Gas had crews monitoring the area for hazards as well, and reported no issues with the pipeline fill. Due to the prevailing wind, the natural gas odor made its way quickly back into the center of town, causing an initial concern for many businesses and homeowners, and yielding multiple 911 calls. Mercaptan, the non-toxic odorant that is added to natural gas to give it the distinct smell, is two and a half times heavier than air, allowing for it to permeate areas at a faster rate and potentially linger for a longer period of time. The Williston Fire Department would like to remind all residents to evacuate your home or business and dial 911 any time you smell gas. Firefighters were impressed with the many businesses in town who followed their local emergency protocol and contacted emergency responders. Williston Fire Department responded to the multiple different calls with a total of 11 personnel, staffing three engines, a tower ladder and a rescue. 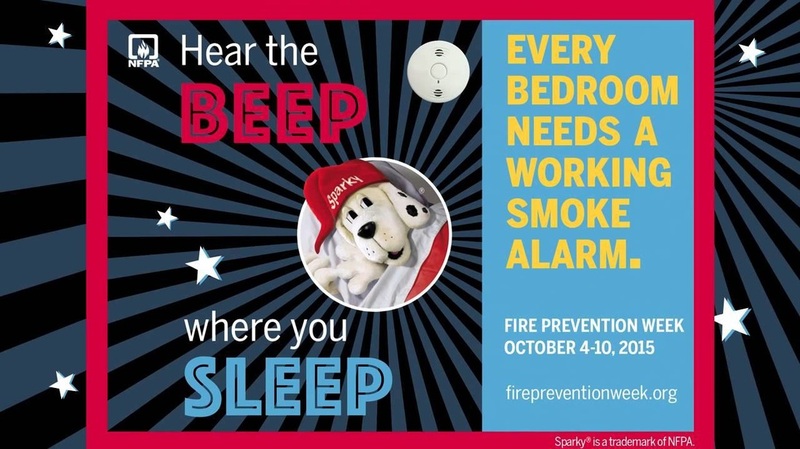 Sparky the Fire Dog announces Fire Prevention Week theme 2016! ​You may see our on duty staff wearing pink shirts throughout this month in memory of those who have fought hard, and in honor of those who still continue to fight the battle against breast cancer. 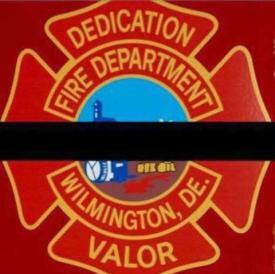 Lt. Christopher Leach and Senior Firefighter Jerry Fickes of the Wilmington, DE Fire Department were killed while searching for victims in a rowhouse. Only days later, FDNY Battalion Chief Michael Fahy was killed in an explosion. Our thoughts and prayers go out to the families and friends of those lost after making their final call. Rest in peace brothers. 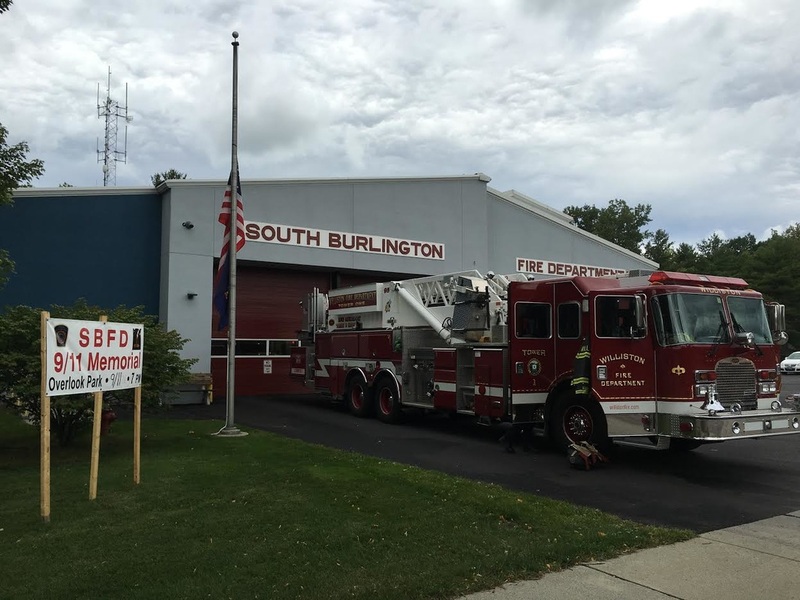 As the 9/11 remembrance was beginning, South Burlington Fire Department requested coverage to their station while they fought a structural fire in their first due. Due to apparatus being committed to Shelburne on the 3rd alarm, and retaining both Rescue and Engine staffing in town, WFD sent an Advanced Life Support Tower crew to cover the City of South Burlington. While covering the city, Tower 1 handled two emergency calls before being placed in service just before 1pm. Thank you to UVM Rescue who assisted the Williston crew during station coverage. While crews were preparing for the 9/11 remembrance, Willison Engine 3 with a crew of four firefighters, was requested to respond to Shelburne to assist with barn fire. Ultimately going to a third alarm response, firefighters worked together from two counties to help control the blaze. Williston firefighters shuttled water and operated handlines while on scene. Williston crews were back in service in fewer than six hours. On the 15th anniversary of the day that changed our lives forever, Williston Fire and Police Officers gathered with residents of the Town to remember those lives lost 15 years ago. The names of the line of duty deaths of Fire and EMS personnel nationwide in the last year were read aloud, wrapping up with the somber sound of five rounds of bells to honor their memory. Later in the evening, Williston Firefighters waved flags at Tafts Corners, garnering friendly waves, horn honks and plenty of thumbs up! 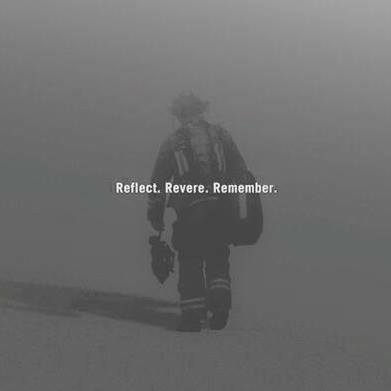 We thank our community for the love and support they show us Firefighters on a regular basis, much less on a day such as this, when all our hearts are on those who have gone before us. 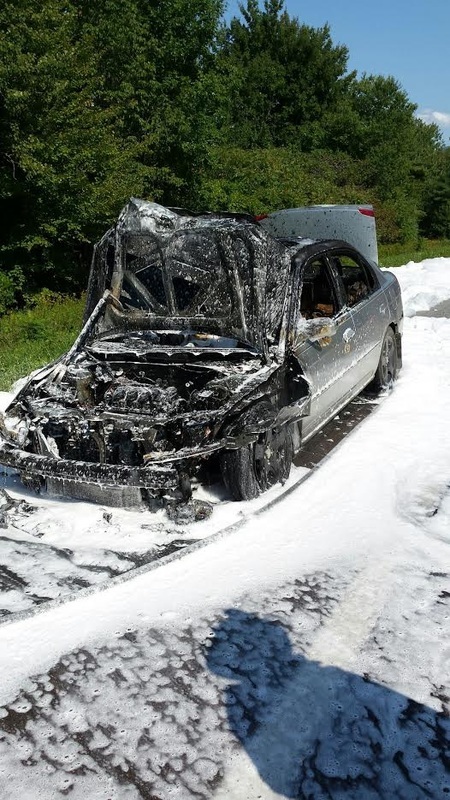 A few pictures from a car fire Williston FD responded to on Interstate 89 northbound at the top of French Hill this past Saturday, September 3rd. 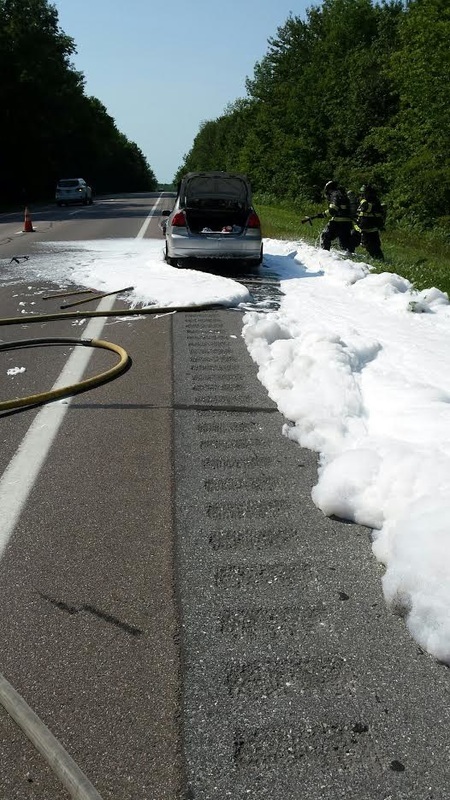 Engine 2, 3 and Rescue 2 were able to get a solid knock down of a well involved car fire with the assistance of foam. Vermont State Police temporarily closed I-89 NB while firefighters extinguished the fire. No one was injured in the fire, though the vehicle was deemed a total loss. The cause is currently unknown. Williston A-shift (Lt. S. Soper, SFF P. Nadeau, FF J. Harriman. Also pictured Captain T. Gerry) performed some rope rescue training early last week. 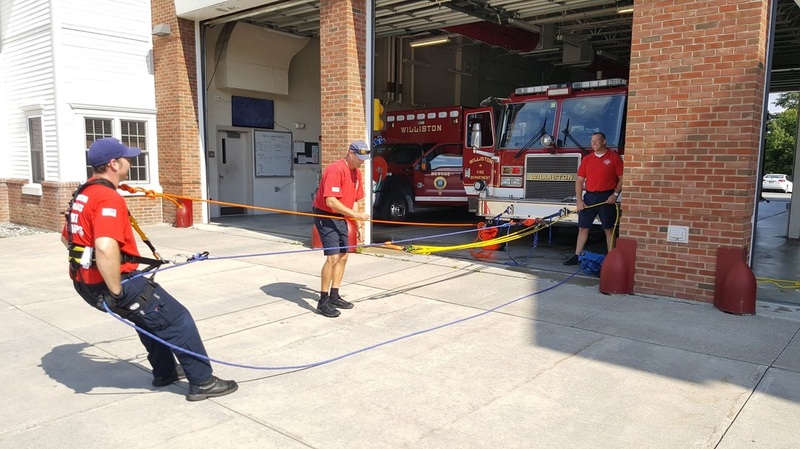 A number of members of the Williston Fire Department are also on VT USAR TF1 and are certified to perform technical rope rescue if called upon. Sunday, August 28th marked the last day of a pivotal member of the Williston Fire Department. We would like to wish Firefighter Nick Carson a very happy and safe career as he begins his next adventure with the Burlington Fire Department later this month. Nick has been a Williston firefighter for 3 years, quickly working his way from probationary firefighter, to a senior call staff firefighter and AEMT crew chief. Nick helped numerous firefighters on the fire ground as well as the training ground, constantly building them up to be better firefighters and EMTs. He will leave a legacy of well trained and motivated firefighters in his wake. Never sitting still, Nick Carson would regularly create new training evolutions for members to try out, and even went so far as to build a firefighter safety and survival prop that is still used during trainings today. Nick, on behalf of all of us at Williston Fire, thank you for your selfless service to this Department and the community as a whole. Good luck on your future endeavors! School is back in session. Please use caution! It is hard to believe something like this could happen anywhere. We're thankful that the kids in this video are okay. PLEASE pay attention now that school is back in session. Heed all traffic laws, especially school bus warning devices. Above all else, simply slow down...our children's lives depend on it. 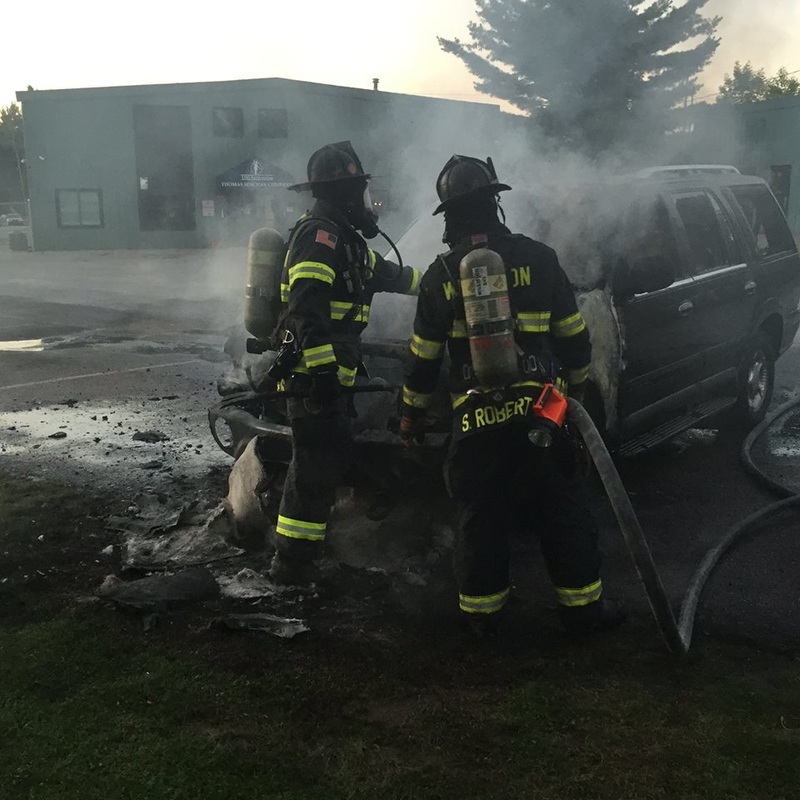 In the early evening of August 18, Williston Firefighters responded to a reported car fire off James Brown Drive. Engine 3 arrived within minutes and found a fully involved engine compartment. With no life hazard, firefighters were able to quickly extinguish the flames. While there were no injuries, the vehicle is deemed a loss. WILLISTON, VT – At 4:38am, the Williston Fire Department was alerted to fire alarm at the Allen Brook School off Talcott Road. Firefighters arrived within two minutes to find smoke in the building. The crew from Engine 3 and Rescue 2 extinguished a fire in a common space within a classroom area. The fire originated in a residential style fan unit, which extended to flooring but not to nearby combustibles. The building was unoccupied at the time of the alarm, and no fire or EMS personnel were injured. The Williston Fire Department responded with a total of seven personnel in an engine, a rescue, and a command car. 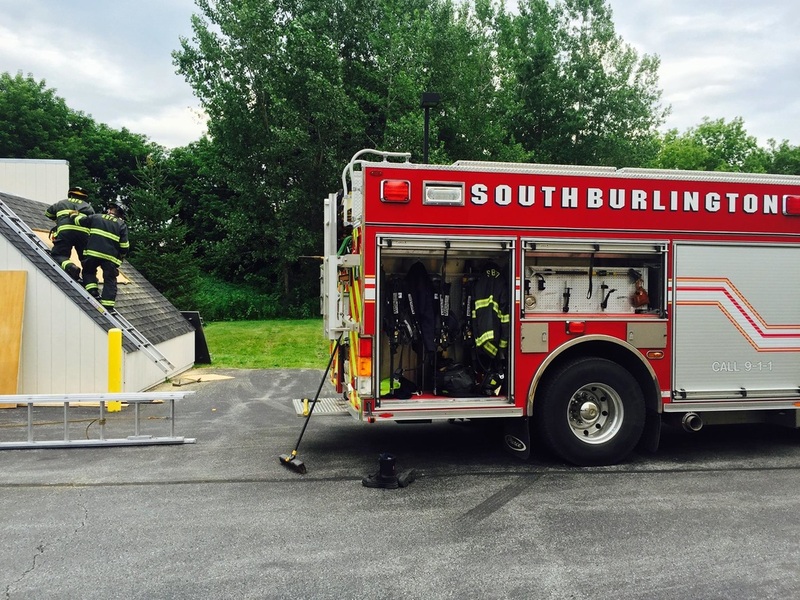 The South Burlington Fire Department provided an ALS engine to cover any additional calls. All Fire Department units were clear of the scene in just over two hours. The building will remain closed for activities today while the building owner works with a restoration contractor to perform cleaning activities. The fire is deemed to be accidental in nature. Firefighting is an inherently dangerous job. When things go bad in a fire, it happens fast. As often as we need to train to rescue civilians, we also need to train to rescue ourselves! Thanks to the recent training building at the old Pine Ridge property, Williston Firefighters were able to practice self rescue and bailout situations from a second story building. Training was put on by Williston Senior Firefighter Prescott Nadeau andBurlington Vermont Fire Department Senior Firefighter Andrew Pitrowiski. Over the past two weeks, the Williston Fire Department has had the ability to train in two buildings at the old Pine Ridge School property. Firefighters trained on hoseline advancement, ventilation, self rescue/bailout, and compressed air foam. Many of these evolutions were performed under live fire conditions. Multiple days of hard work and preparation led to over thirty training evolutions. Thank you to The NETS Center for the use of the buildings, our mutual aid partners for their manpower, apparatus and skill, and our own Department members strong work during all evolutions. Firefighter story time at the Dorothy Alling Memorial Library is always a good time, especially when we have such a good turnout. Senior Firefighter Nadeau and EMT Steadman read stories, showed off firefighting gear, and even brought a truck for the kids to climb on. We cannot wait for next year...! ​Our hearts are heavy, and our thoughts and prayers go out to our brothers and sisters in blue across the nation, especially Dallas and Baton Rouge. 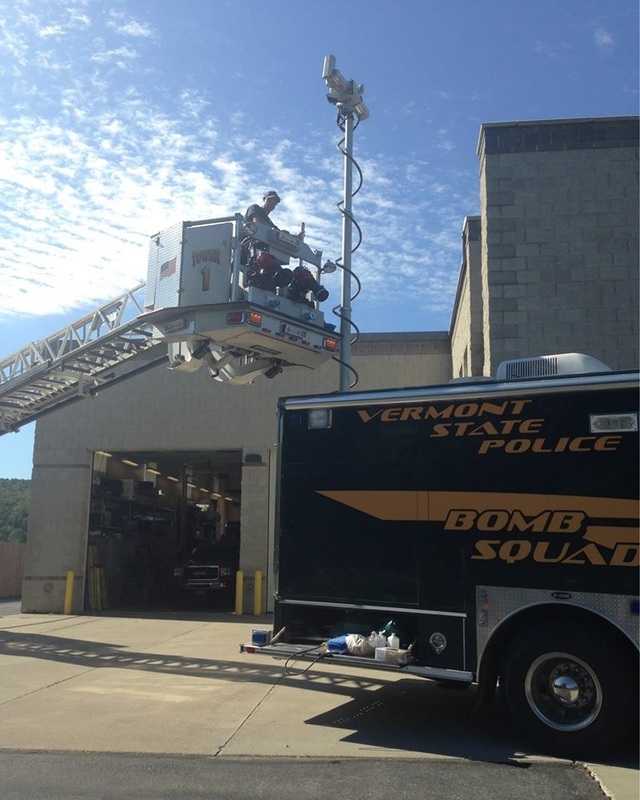 Williston firefighters work almost daily with the Williston Vermont Police Department and/or the Vermont State Police. We are safer as a community thanks to the tireless efforts of these public servants. 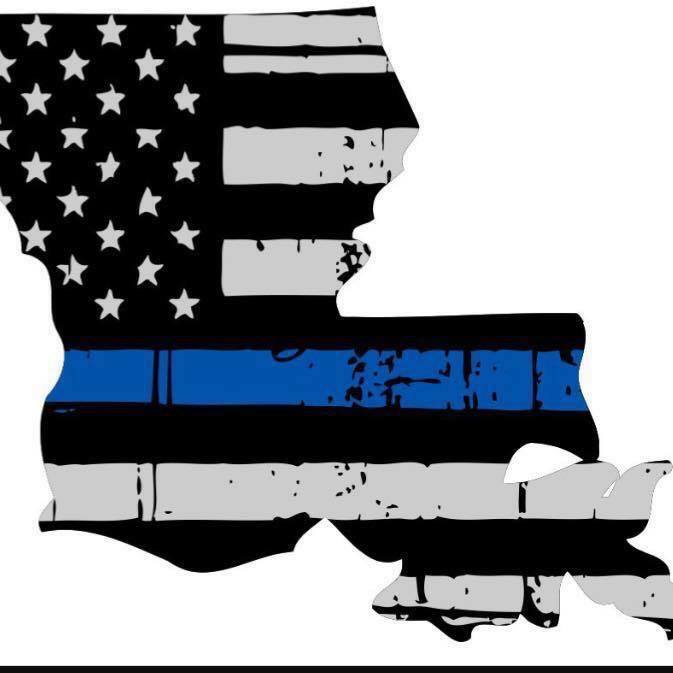 While Texas and Louisiana are hundreds of miles away, distance has no bearing on the mental, physical, and emotion toll that these murders have taken on the Officers both locally and nationally. We ask that you join with us in thanking our local Police Officers for the dedication they show in protecting our State from the many dangers that exist. 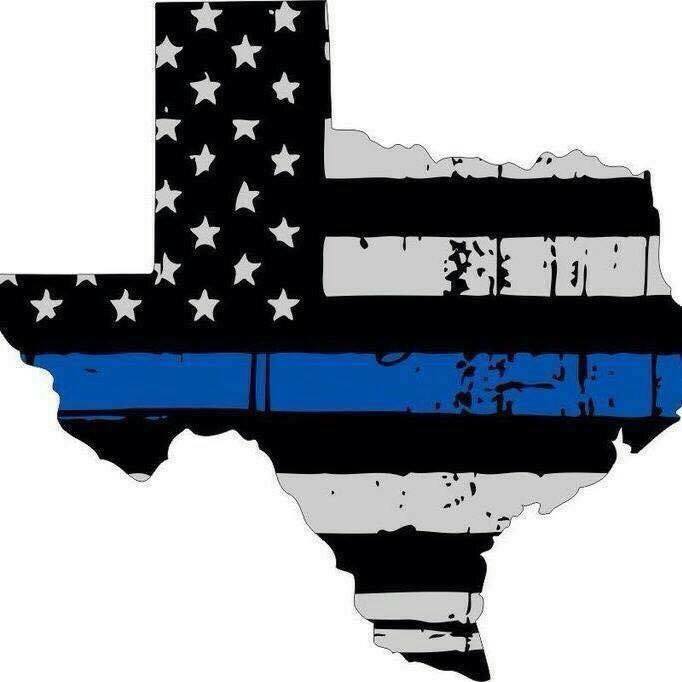 We also ask that you keep the Officers in Texas, Louisiana, and all over this great nation in your hearts as they grieve the loss of their brothers. 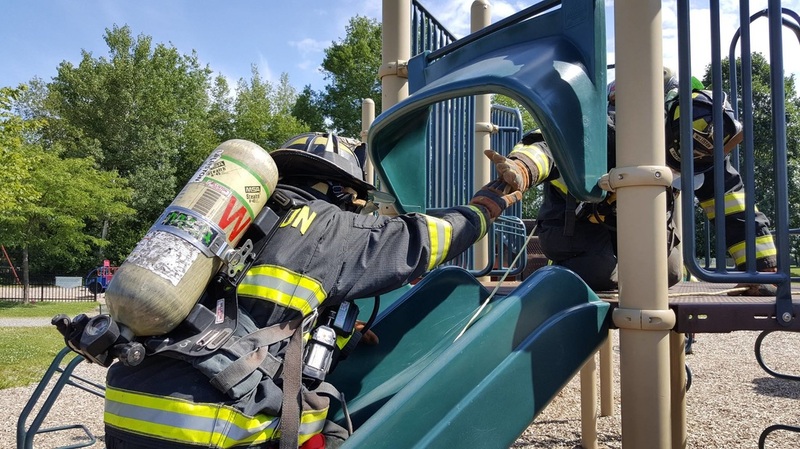 Yesterday, July 13th, Williston firefighters turned the Williston Central School playground into our own "playground" temporarily for the sake of training. Firefighters used wax paper to cover their masks and obscure their vision, then had to follow a search rope through the course. They were tasked with navigating differing terrain and obstacles as well as working on teamwork and communication to get through together in a timely manner. Thank you to the parents and children who took a short break to watch us train. 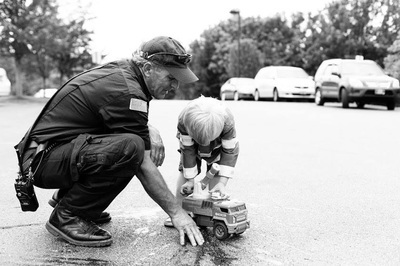 We were happy to turn our trucks into your temporary playground afterward! The Williston Fire Department was honored to be asked to lead the 4th of July parade in carrying our national and state flag. 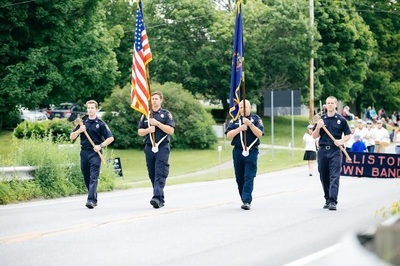 The flags were "guarded" by two parade axes lent to us by the Professional Firefighters of Vermont. 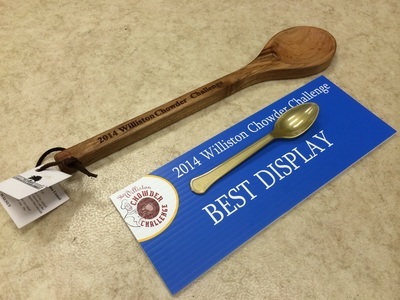 All day there will be a school bus on the Town Green that will be collecting food for the Williston Food Shelf. Stop on by and donate non-perishable food items. As of May 1, 2016 the Burn Ban in the Town of Williston is lifted. While the rain will give us much needed moisture, the coming week has potential for another dry week. Please burn wisely and remember that you still need a burning permit to burn. Please call 878-5622 to obtain a permit. 4) We use a specific set of rules set forth by the fire warden to govern the issuance of permits, which are available at the station. The burn ban has been lifted for the Town of Williston. or to notify us of your intent to have a campfire. The Williston Fire Department is hiring! We are looking for a self-motivated, detail oriented, dedicated individual to serve on our Fire/EMS career team. Download the file below for additional information about the posting. Pancake Breakfast feeds almost 1,000 people! On behalf of the men and women of the Williston Fire Department, I would like to say an enormous THANK YOU to the residents of the Town of Williston and many more surrounding communities that came to support us during our 24th annual pancake breakfast! In just four hours, 950 people came through our firehouse and consumed pancakes, eggs, sausage, home fries, juice and coffee. A little chill in the air apparently did not dampen appetites! Another thing worth mentioning is something many people may not know about: the firefighter "brotherhood" (which includes women!). WFD saw numerous folks from local Fire Departments all around Chittenden County coming to support their brothers and sisters along the way. Richmond Volunteer Fire Department Shelburne Fire Department Hinesburg Fire Department Essex Junction Fire Department Essex Fire Department Charlotte Fire and Rescue Services UJFD Winooski Fire Department Colchester Center Fire Company Malletts Bay Fire Department Burlington Vermont Fire Department and a few I've missed! The generosity, kindness and community spirit that was felt today during our pancake breakfast reminded many of us why we do what we do...for you fine folks, the people we serve! WILLISTON, VT – At 3:30pm on Sunday, January 3, 2016 the Williston Fire Department was dispatched to Beebe Lane in Williston for a reported vehicle rolled on its side, in the water, with an occupant trapped inside. While enroute, Fire Command requested assistance from Colchester Technical Rescue due to the unknown depth of water. First arriving Fire units found the vehicle on its side in approximately two feet of water and were able to assist the patient out of the vehicle under her own power. Williston Rescue 2 transported the patient to the University of Vermont Medical Center with non-life threatening injuries, while Engine 2 remained on scene awaiting vehicle removal. The patient had a dog in the vehicle with her at the time of the accident, which was uninjured and will be reunited with her owner. The Williston Fire Department responded with a total of 13 personnel in three engines, two rescues, and a command car. All units were placed in service at 4:30pm. The Williston Fire Department would like to thank the Hinesburg Fire Department and Colchester Technical Rescue Team for their response and assistance. 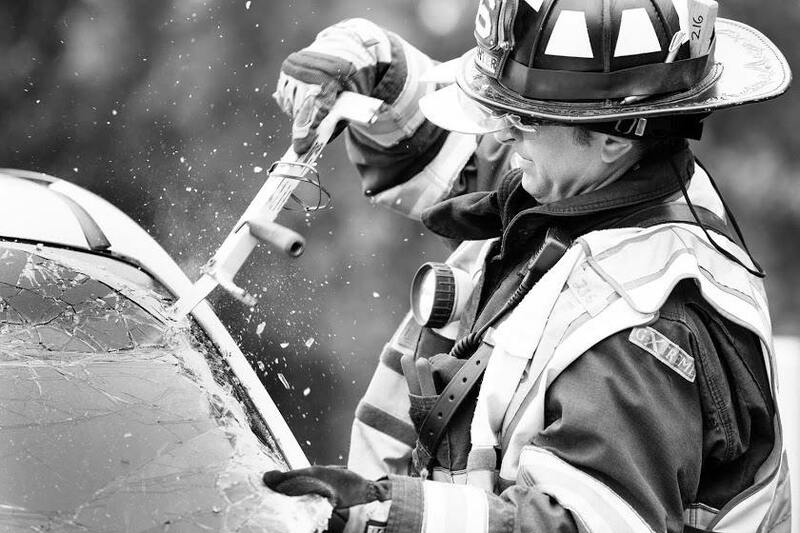 The Williston Fire Department is proud to have on its staff a very talented photographer who also happens to work with us as an EMT, currently in class to become a Firefighter as well. Steven Robert has compiled a large selection of great photos for your viewing pleasure. Instead of adding to our album, here is the link to his own "year in review". Thank you Steven for your using your talent to capture the Williston Fire Department in a new light (pun intended). Today showed many of us just how generous Vermonters can be. 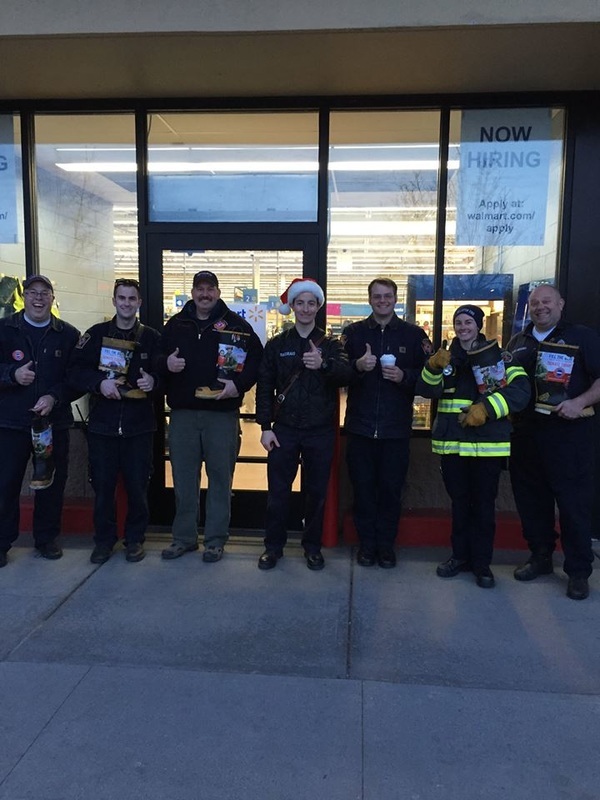 The Boot Drive put on by Williston Local 4611 and South Burlington Fire Department Local 3671 held at Walmart to benefit the Muscular Dystrophy Association raised over $2,000! This is an enormous thank you on behalf of the Williston Professional Firefighters to those of you who donated to such a good cause. Also thank you to the WFD and SBFD Firefighters who dontated their time today helping raise money for the MDA. 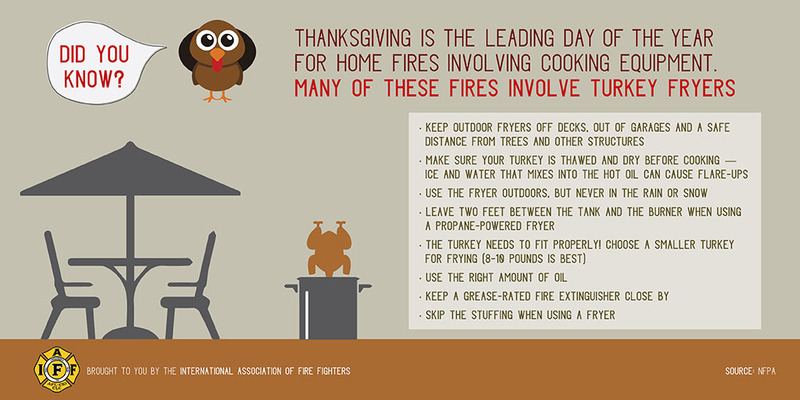 Happy Thanksgiving from the men and women of the Williston Fire Department. 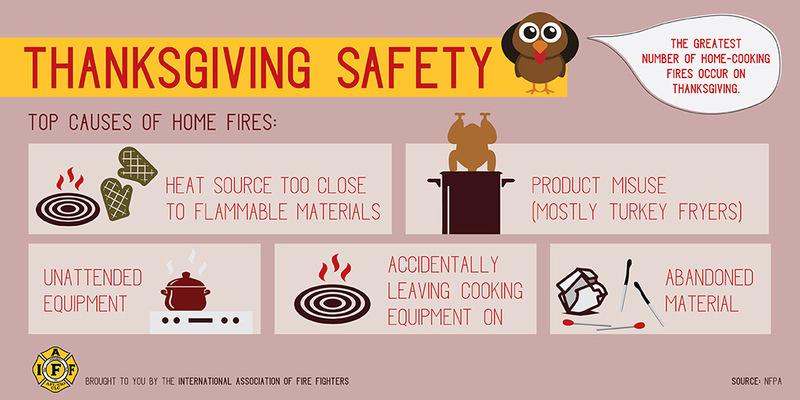 We are thankful yet again for such a supportive community and amazing fellow firefighters and EMTs to work with. Thank you also to those public servants working today to protect your safety at home and abroad. 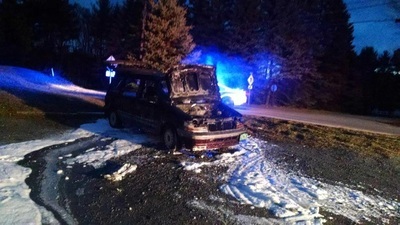 Just after 6am this morning, the Williston Fire Department received a report of a minivan on fire on South Brownell Road near the intersection of Williston Road. Within three minutes, Engine 2 and Rescue 2 were on the scene and began extinguishment. Engine 1 and Utility 1 provided additional manpower support for a total of ten Williston Firefighters on the scene. No injuries were reported but heavy damage occurred to the vehicles engine compartment. Firefighters remained on the scene for approximately 30 minutes with the fire being placed under control in under 10. Engine 2 utilized foam to assist with extinguishment. Toys for Kids needs your help! Its that time of year again! 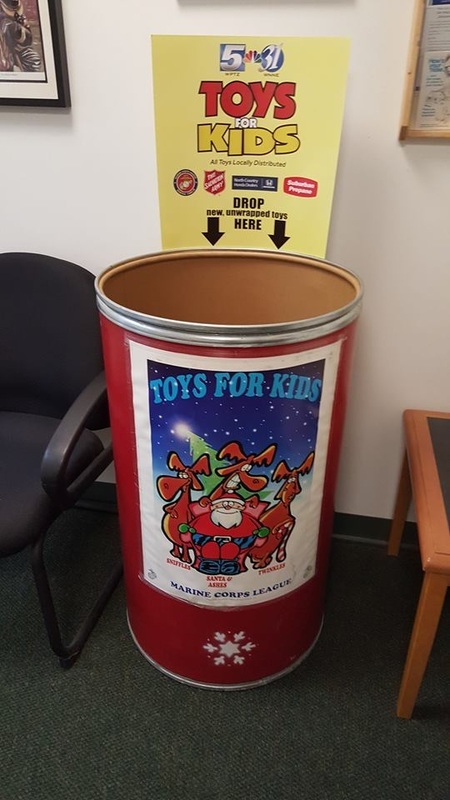 The Marine Corps League has the Toys for Kids barrell in our lobby willing to accept donations of unwrapped toys for Vermont children in need this holiday season. Some generous folks from around town have already started their holiday giving and filled our barrel TWICE since we put it up last week. Lets keep it up and make some children happy this holiday. 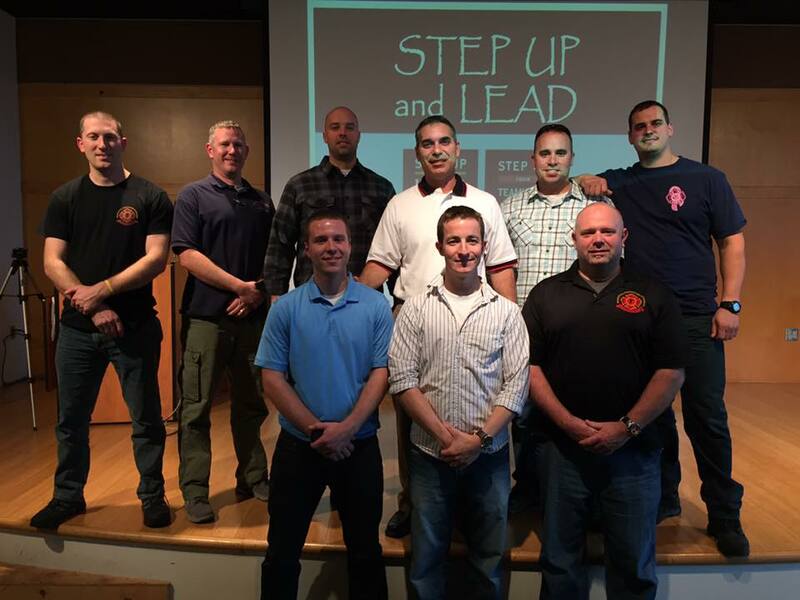 Williston and South Burlington Fire Department firefighters (on their own time) attended a leadership conference in Norwalk, CT this weekend hosted by Norwalk FD Local 830. Renowned author Frank Viscuso (Step Up and Lead, Common Valor) taught excellent lessons on leadership qualities and their affect on the fire service. 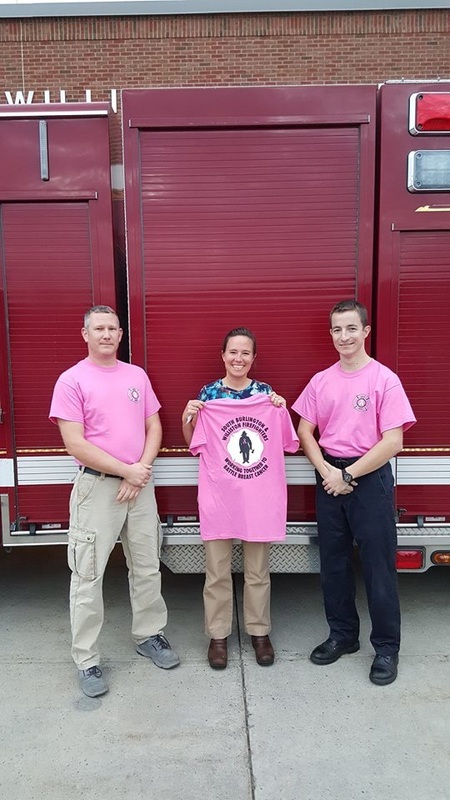 For the entire month of October, you may have seen Firefighters and EMT's wearing bright pink shirts while on or off duty. 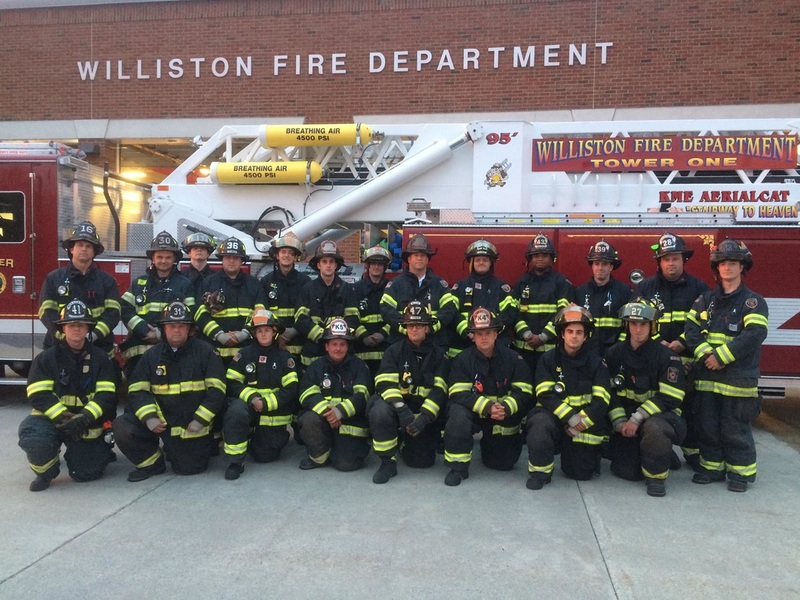 During that time, the Williston Fire Department joined forces with our neighbors at the South Burlington Fire Department to raise money for breast cancer awareness, research and support. WFD, SBFD, Local 3671 and 4611 chose to donate to Hope Lodge in Burlington, VT and last night had the opportunity to present a check to Angela Putnam of the Hope Lodge. We look forward to a wonderful continued relationship with all the folks at the Hope Lodge as we continue to stand strong together in the fight against cancer. WILLISTON – At 4:30pm on Sunday, November 1, the Williston Fire Department responded to a medical alarm activation at 129 Eagle Crest, Eagle Crest Senior Housing. While personnel were assisting a patient who had fallen, a firefighter noted smoke down the hallway from where they were located. Following it to the source, firefighters discovered a microwave on fire inside the residence with a significant smoke condition in the apartment. 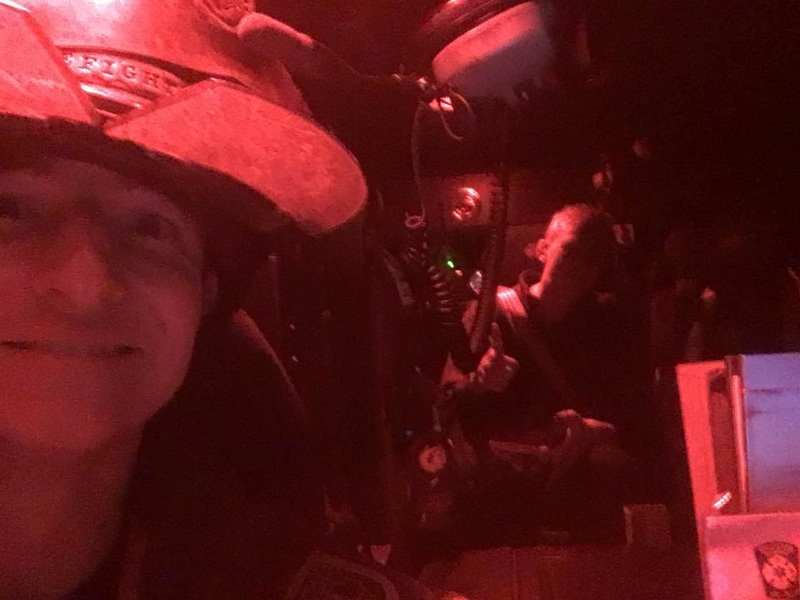 Lt. Keith Baker called for additional resources and began handling the fire incident while leaving a crew to administer care to the original patient. Very shortly after discovering the fire, the general building alarm sounded, signaling the evacuation of the structure. Having responded with both an Engine and an Ambulance to the original medical call, Firefighters were able to quickly extinguish the fire. Additional personnel from Williston’s Tower Ladder arrived and were able to assist with a significant amount of ventilation needed. One patient was treated by the crew of Rescue 2 for minor smoke inhalation but released on his own accord. While all of this was going on, a third incident was handled in the same building by on scene personnel. The Williston Fire Department responded with 13 firefighters staffing an engine, ambulance, tower/ladder, and a chief’s car under the command of Assistant Chief Doug Hulbert. All Williston Fire apparatus were clear the scene within an hour. Chief Levesque had one of the most recognizable voices on the radio and was a calming presence when he was on scene. 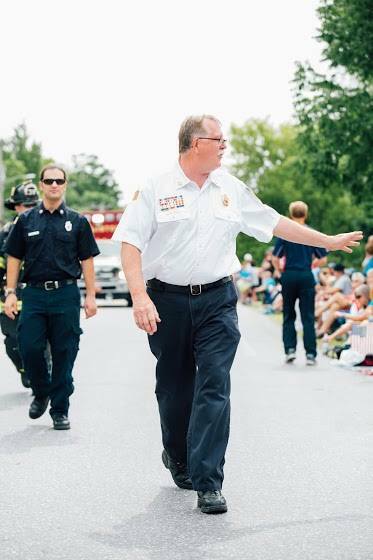 His knowledge of firefighting and leadership brought the Richmond Fire Department to be the strong force it is today. Thank you Chief Levesque for all you did to ensure the members of the Richmond community and those around it were kept safe on your watch. Mark your calendar for October 3rd from 10:00am till 1:00pm. 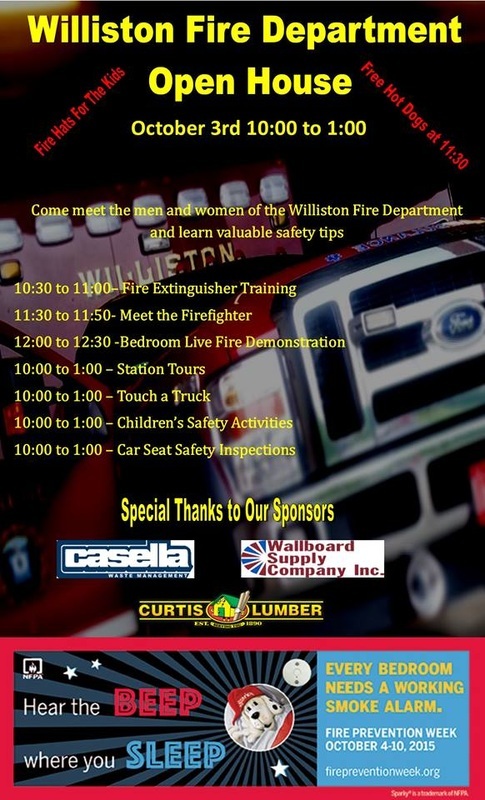 The Williston Fire Department Fire Prevention OPEN HOUSE. This year for the theme "Beep Where You Sleep" we will be demonstrating the benefit of smoke detectors in the bedroom by lighting a model bedroom on fire. 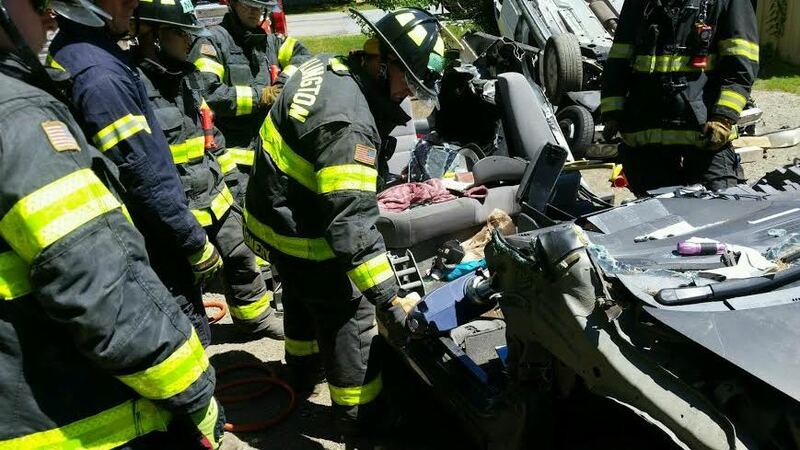 Did you know the Williston Fire Department installs car seats? We have four technicians available on Friday afternoons by appointment only. If you would like your car seat checked for proper installation and/or have a brand new install you would like help with, please call the station at (802) 878-5622 to set up an appointment. The Williston Fire Department would like to wish Firefighter/EMT Aaron Atkins the best of luck as he moves on to a new adventure in New York. Firefighter/EMT Atkins served with us for five years, ultimately serving in the role as one of only a few EMS Crew Chiefs. Aaron was as nice a guy as one could hope to meet, and very in tune with training and fitness. We are sad to see him go, but happy he is pursuing an exciting new path. If you are here, it means you have navigated towards the Williston Fire Department's new website! 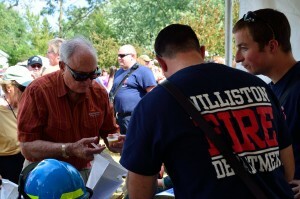 We are still at www.willistonfire.com, just with a new and improved look. This new website still provides valuable information on everything from reflective 911 address signs, to who is on shift on a given day and so much more. Please see the tabs above to navigate to the numerous services we offer. 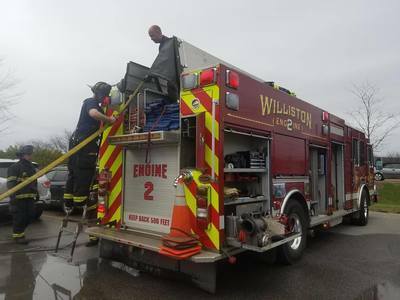 The current training/events calendar will tell you if there are any open houses or fun events planned for around our fire station, and the About Us tab provides a glimpse into your Williston Fire Department members and equipment. Thank you all for stopping by. Enjoy! AUGUST 12 - It has been a busy week with not just calls but also wrapping up the memorial service for a man who touched all of our lives in a very meaningful way and was taken from us far too soon. 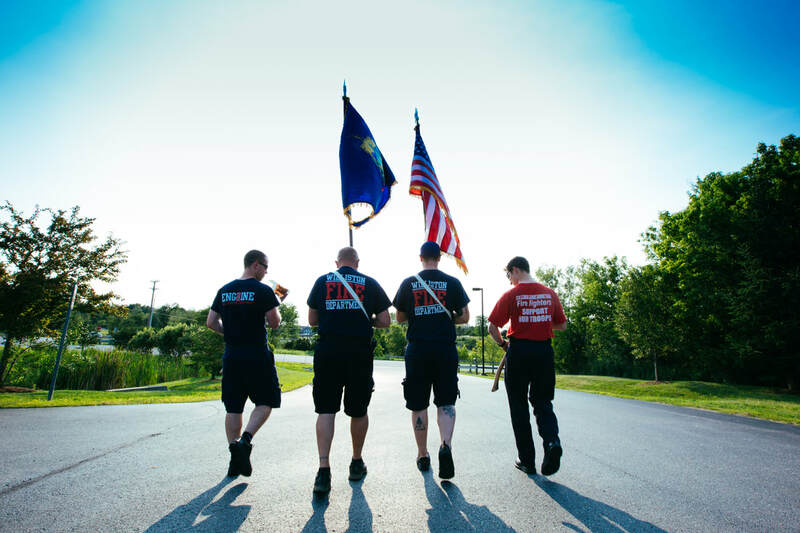 The Williston Fire Department was honored to provide the Honor Guard for Brendon's funeral service. The entire Cousino family is a testament to the strength and love that the Fire and EMS community admire so much. To the Cousino Family: We are here for you now and moving forward. You will never walk alone. We count ourselves fortunate to have known Brendon as long as we did. Thank you for letting us be a part of that day...It was and will forever be an honor. The Williston Fire Department would like to offer our deepest condolences to our friends and neighbors at Richmond Rescue and the Cousino family during this very difficult time. Words cannot express the deep sadness for the loss of such a great man far too early. We were all lucky to have known Brendon. WILLISTON - Just before 7:30pm, Williston Fire and Richmond Rescue were dispatched to Interstate 89 northbound just north of Exit 11 for a reported multiple vehicle accident with one reported person trapped. Firefighters arrived on the scene to find a female patient who had been ejected from her vehicle with significant injuries and a male patient who was heavily entrapped in his vehicle and did not have a pulse. A third vehicle was involved though it sustained minor damage and the operator refused transport to the hospital. The patient who had no pulse was confirmed a fatality on scene by EMS personnel and the investigation was turned over to the Vermont State Police. EMS immediately treated the patient who had been ejected and transported her to the University of Vermont Medical Center with serious injuries. At this time, the Williston Fire Department and Vermont State Police are remaining on scene awaiting the arrival of the medical examiner and Accident Reconstruction Team. Further updates will be made available as they occur. Firefighters are called upon to do extraordinary tasks every single day. This was evident on the morning of April 12th when a brave police officer and well trained Engine Company were the difference between life and death for the occupant of this home. Well done to all the Departments involved. This is why we train. Lt. Genzlinger and Senior FF Spencer from the South Burlington Fire Department were at our building training their probationary firefighter on vertical ventilation techniques on July 22. We are please to host any Department who would like to utilize our facilities training props. Not only does it build great mutual aid relationships, but it also is a way for knowledge to be shared across town/city lines. Monday July 3rd was our Department "round table". Members cooked up a delicious meal, covered important topics relating to the Department, and took our staff photo. 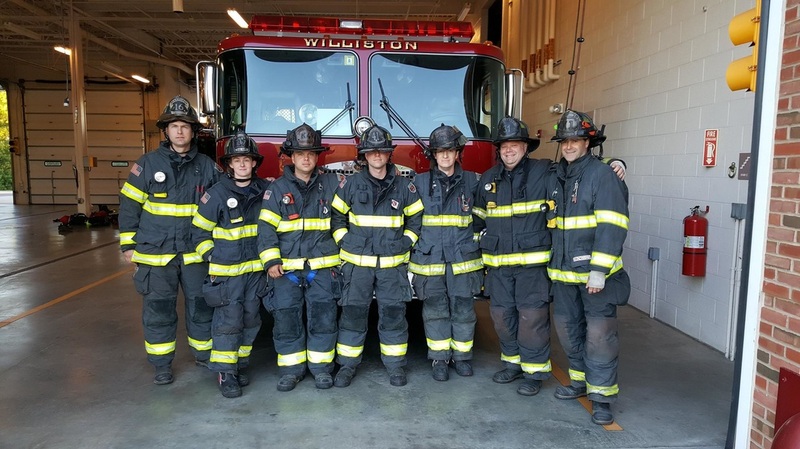 The official photo will be posted shortly, but in the meantime, here is a look at your Williston Fire Department in their turnout gear with Tower 1 featured in the background. 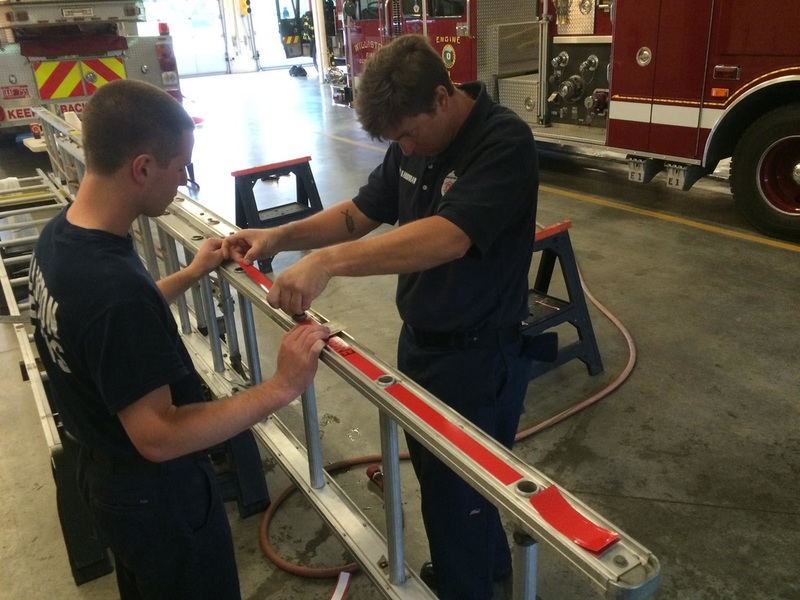 Firefighter Carson, Harriman, Nadeau and Yeates assisted with placing retro-reflective Firehouse Pride ladder wraps on all the Departments ground ladders. These ladder wraps are an important addition to help provide quick, visible reference for ladder location while on a roof or in a smoke filled room. They also add quick reference balance points and identify the apparatus each ladder is from. The work put in will inevitably assist in members safety as we continue to operate at the highest standard possible. 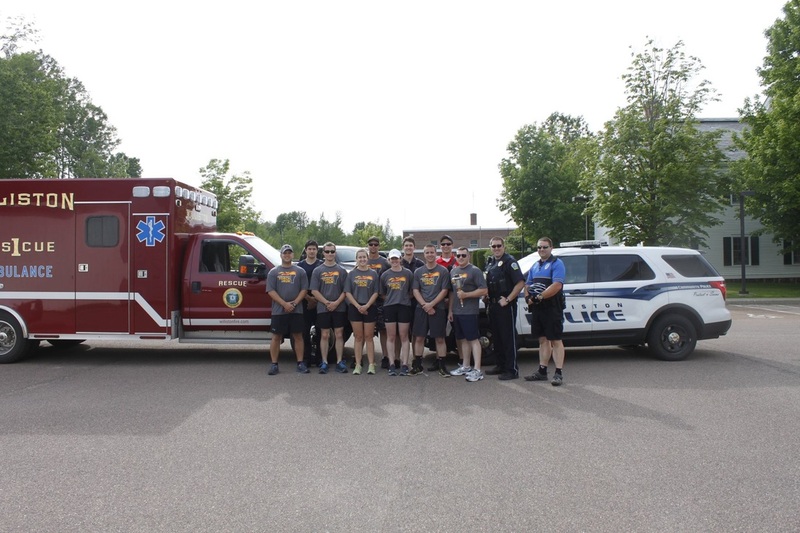 Williston Fire and Police join forces in the Law Enforcement Torch Run to benefit the Special Olympics. 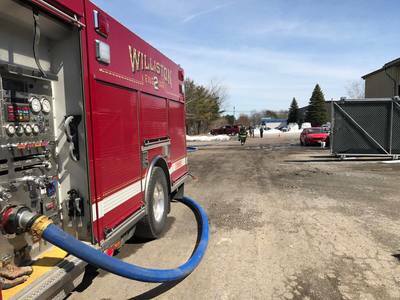 WILLISTON – Just before noon on Tuesday, April 28, the Williston Fire Department received a call to 357 Avenue C, the Materials Recycling Facility, for a chemical spill with numerous possible patients. While enroute, Chief Ken Morton requested the State Hazmat Team be put on alert and called for mutual aid from Essex Junction Fire. 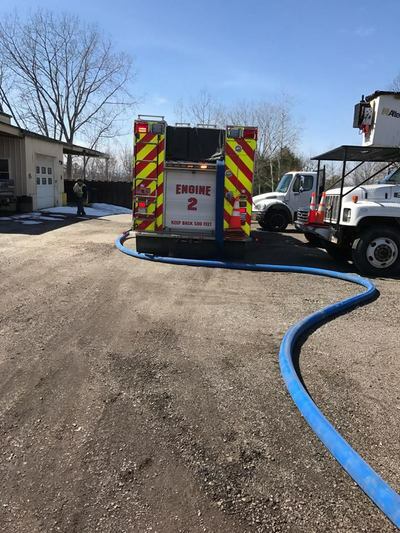 Upon arrival on the scene, initial reports were that a substance had been released during the recycling sorting process and that approximately 25 people were experiencing symptoms ranging from a cough to nausea and vomiting. All staff were evacuated from the facility as firefighters quickly began triaging patients and assessing the severity of their needs. Fire command quickly upgraded the incident to a 2nd alarm Hazardous Material call with an MCI (mass casualty incident) response which brought the South Burlington Fire Department, as well as both the IBM and State Hazardous Materials Response Teams direct to the scene. A total of four mutual aid ambulances were requested from St. Michaels, UVM, Essex and Richmond Rescue. An initial investigation team entered the structure to ascertain what the release was, while at the same time a team of firefighters made contact with and began treating multiple patients. Initial reports of 25 patients were corrected to 23, twelve of whom requested transport to the UVM Medical Center for evaluation. 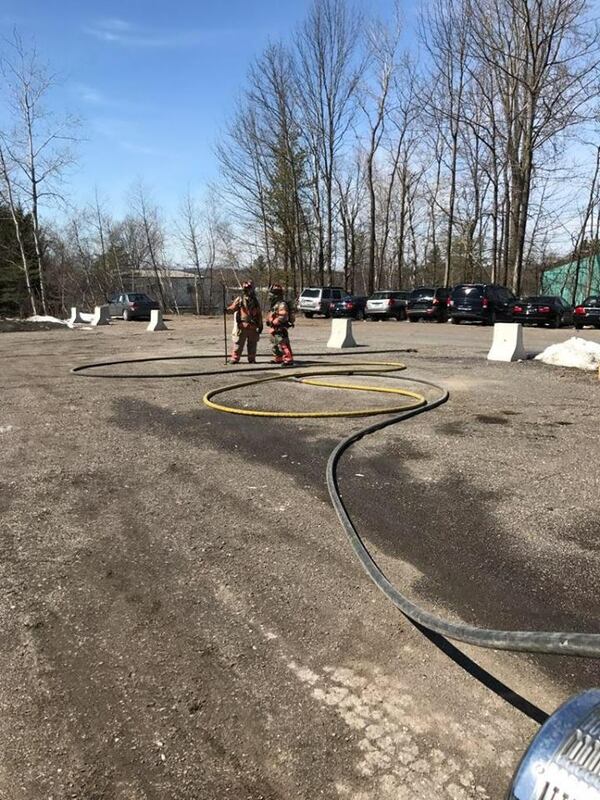 The South Burlington Fire Department worked in close conjunction with the State Hazmat team to provide a decontamination tent, allowing all 23 people who were initially exposed to be decontaminated prior to either being transported to the hospital or treated on scene and released. After the initial investigation, the State Hazmat Team provided a team of specialists with equipment to narrow down the cause. The team was able to, with certainty, state that the release was accidental in nature and nothing was suspicious about it. Initially, there was one identified potential cause - a wasp or hornet repellent, with a second possibility of a bear repellent discovered at a later time. The Williston Fire Department worked closely with the State Hazmat team, the owner of the building, and numerous other agencies and has determined the cause to be from a pepper spray commonly used to deter bears. All parties involved have been very cooperative and helpful at the conclusion of the incident. Station Coverage was provided by the Richmond and Essex Town Fire Department along with additional staff from Williston Fire. 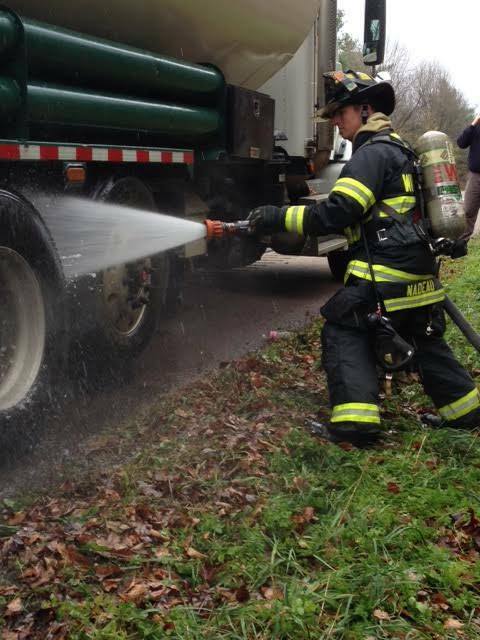 Mutual aid agencies handled four additional calls while the hazmat incident was occurring. Special thanks to the numerous mutual aid agencies who responded to assist the Williston Fire Department during this lengthy incident. The Williston Fire Department is proud to announce the appointment of Emily Pattison as our newest full time Firefighter/EMT, effective January 1st, 2015. She has been placed on C-shift and will undergo a probationary period in which she will be extensively trained on all the equipment and procedures we abide by. On behalf of Chief Ken Morton and the entire Williston Fire Department, please join us in congratulating Emily on her appointment! By taking the extra few minutes to shovel out the fire hydrant nearest you, it could help saving lives and property. 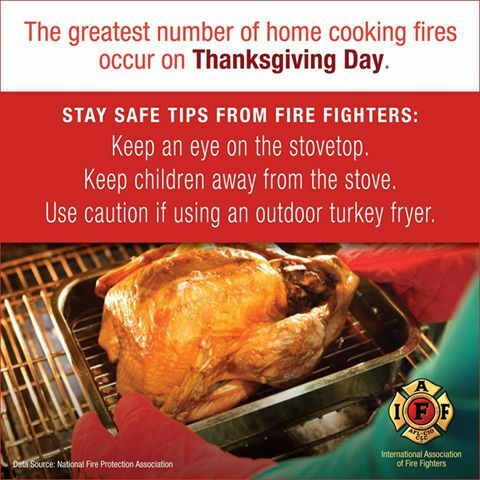 Williston Firefighters stress safety this Thanksgiving! 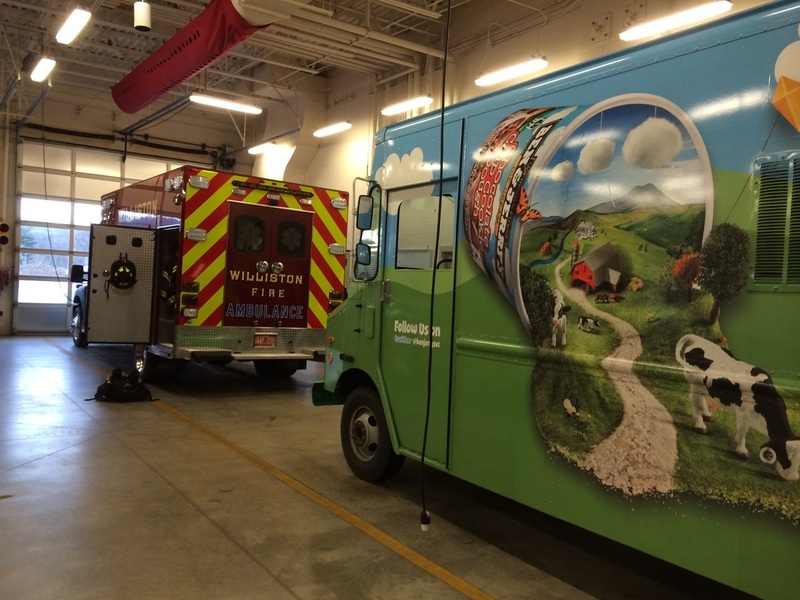 Williston Fire/EMS personnel received a tasty surprise this afternoon when Ben and Jerry's stopped by to dish out some ice cream and thanks to First Responders all over VT.
We welcomed them in to the firehouse to warm up a bit and see what we do on a day to day basis. While they enjoyed the warmth, we sure enjoyed the treat Thank you for stopping by and sweetening up our afternoon. Just after 8am on October 30, 2014, Williston Fire/EMS responded to a local gym for a "person down". Firefighters found a female who had experienced a cardiac arrest and was being assisted by the gym's staff who had applied an AED and administered a shock. The woman regained a pulse just as firefighters arrived. 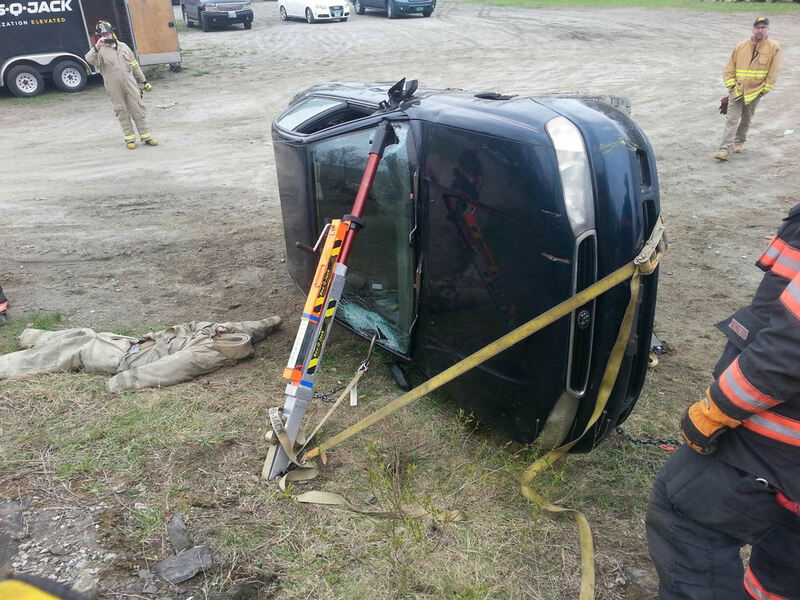 The woman was then stabilized and rushed to the hospital in the newly in service Rescue 2. We are pleased to report that at last contact, the woman was up and speaking to Doctors. Thanks to the swift actions by gym staff and the continued care provided by Williston's Fire/EMS staff, the woman is headed towards a speedy recovery! 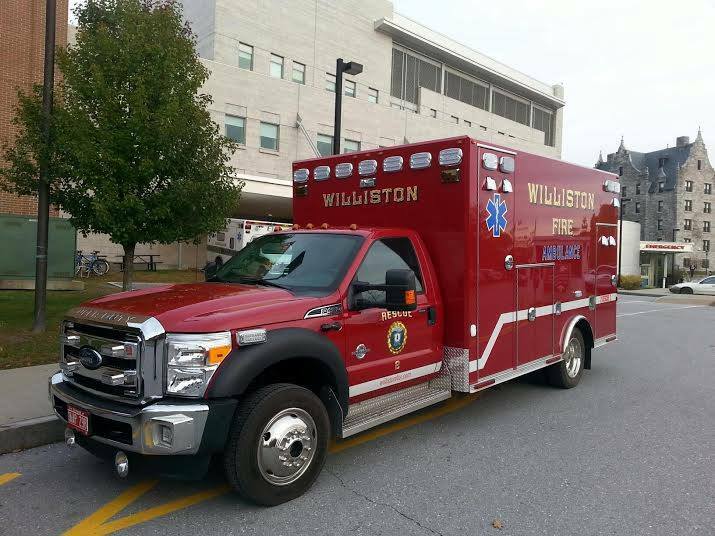 On October 29, 2014, Williston placed Rescue 2 in service as the new front line ambulance for the Williston Fire Department. R2 is a 2014 Osage on a F-450 chassis. From left to right, 1) Rescue 1 and 2 pose for their close up in front of the station 2) Rescue 2 pictured in front of the UVM Medical Center after its inaugural run to the hospital 3) Just after being lettered up, Firefighter Simanskas snapped this sharp looking picture even before it was fully in service. This fire was handled with the 750 gallon tank water and one 1 3/4 attack line off the front bumper. E2 has the capability to flow foam from this line should the fire have been more significant. 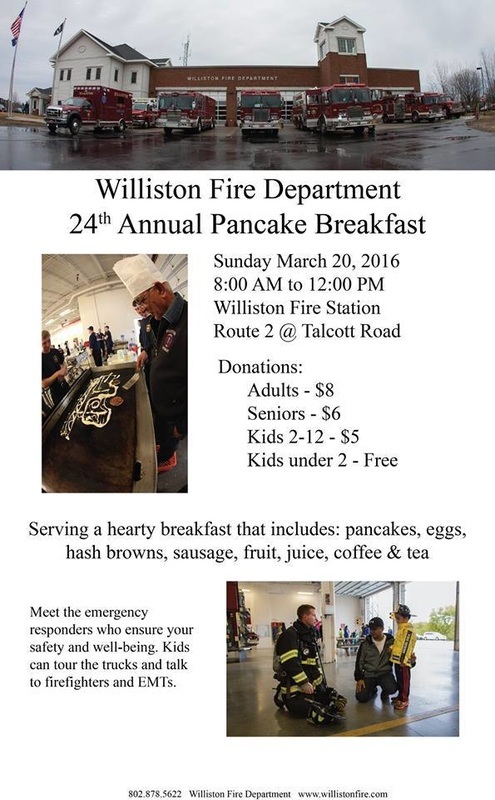 You may have noticed Williston Firefighters donning a slightly brighter uniform these past few weeks. 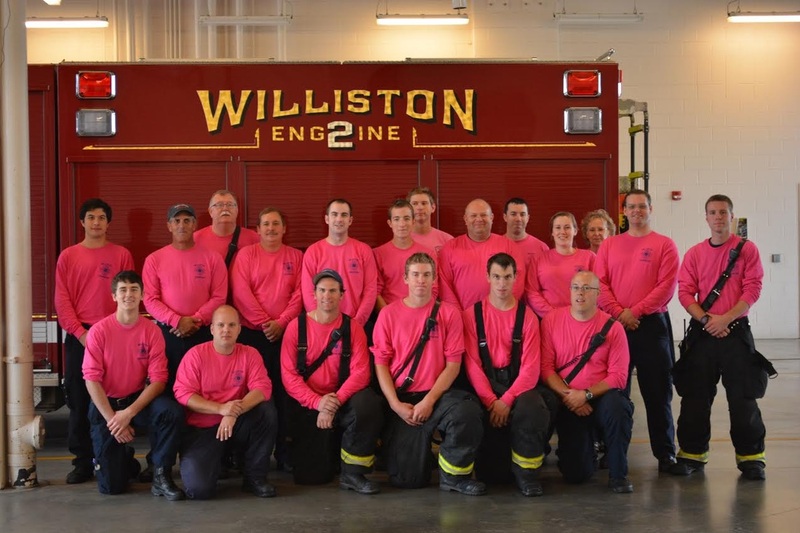 For the month of October, Williston Firefighters and EMTs were proud to wear PINK to raise awareness and support breast cancer research. "Fight the fight, find a cure"! The topic on everybody's mind these days is Ebola. The Williston Fire Department would like to let you know we are prepared. As of last week, WFD updated a preexisting pandemic and global disease outbreak manual which will be integrated into a policy statement for all members by 10/31. Training will be supported by a personal protective equipment strategy for both patients and Firefighter/EMTs. Please note: if symptoms are present that meet criteria in our protocol, you may see WFD members in full protective gear, including face masks and protective suits. This is intended to be a proactive approach to protect us and the public we serve. 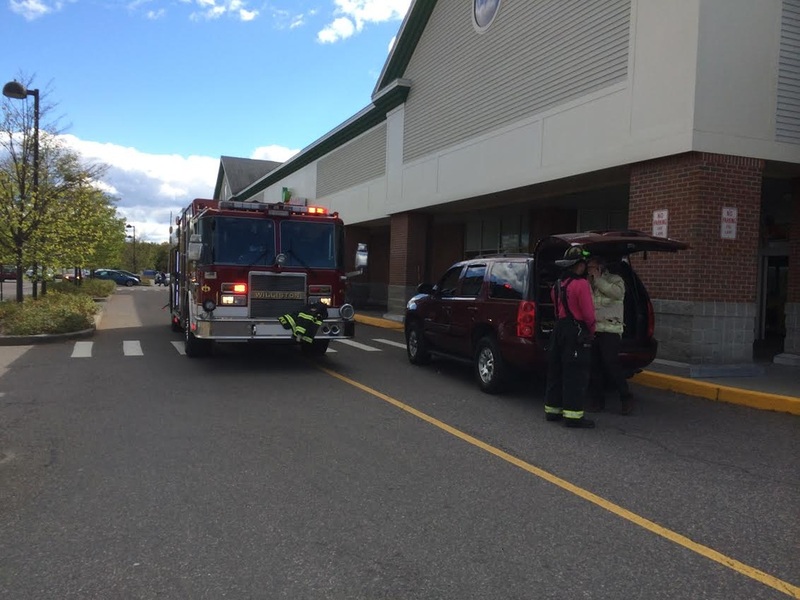 On Thursday, October 9, 2014 at 10:07am the Williston Fire Department was dispatched to a fire alarm at 71 Boxwood St, Shaws Supermarket. Firefighters happened to be in the store’s parking lot when fire alarm went off, allowing for an immediate response. Upon entering the store, firefighters were faced with smoke coming fr the commercial kitchen area. Firefighters discovered a small fire in the area of one of the commercial fry-a-lators which was being extinguished by an employee. Upon fire department direction, the employee joined the remainder of the staff in safely and swiftly exiting the building. Fire Department personnel were able to secure the utilities and ensure the fire was fully extinguished before focusing efforts on removing the smoke from the building. Mutual aid was requested almost immediately from the Essex Junction and Essex Town Fire Departments to assist with venting the smoke. No injuries were initially reported, although EMS personnel later evaluated an employee who chose to be transported to the hospital for evaluation of non-life threatening injuries via personal vehicle. During the course of the incident, the Williston Fire Department also responded to a separate, unrelated medical issue around the corner from Shaw’s Supermarket. The State Fire Marshal was on the scene performing an initial investigation into the cause and origin. Representatives from the Vermont Department of Health were also on the scene to ensure the food in the store was safe to consume. As of 2pm today, the building had been turned back over to Shaw’s staff to begin the cleanup process. The supermarket will remain closed until approximately 5pm tonight. 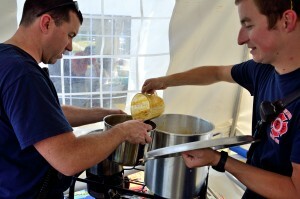 Williston Firefighters partnered with local area businesses to bring a little warmth to the rather chilly Fire Prevention Week Open House on October 4th, 2014. Fire/EMS staff hosted hundreds of parents and children from all over Chittenden County, teaching everything from proper use of a fire extinguisher, to the differences between types of smoke detectors. Wet weather didn't dampen visitors spirits, especially when Firefighters performed a live fire demonstration using a mock up living room! 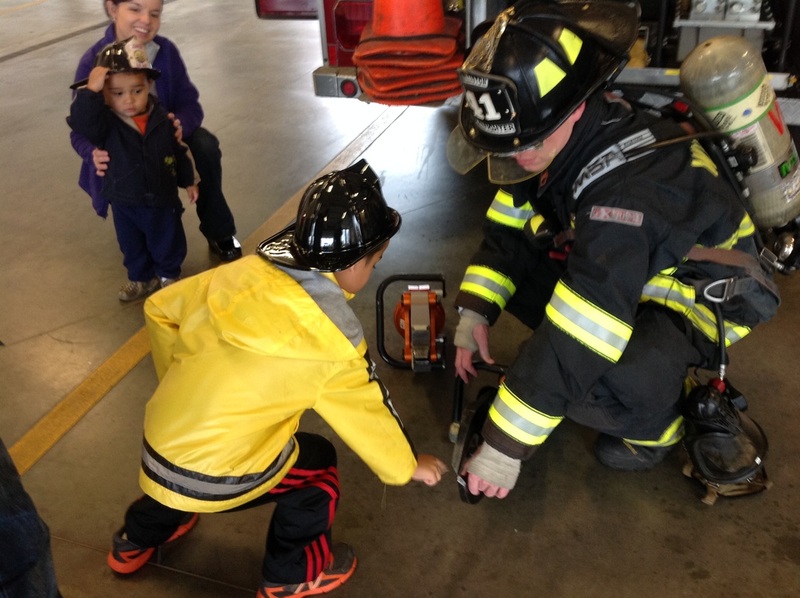 Pictured above: (Left) Firefighter Jeremy Harriman teaches a future firefighter they type of personal protective equipment Firefighters wear every day. 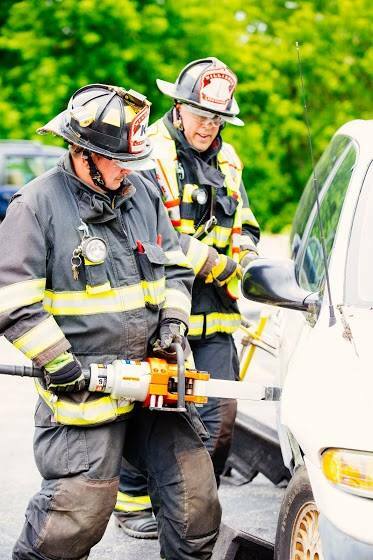 (Right) Firefighter Nick Carson shows an eager junior firefighter one part of the "Jaws of Life". 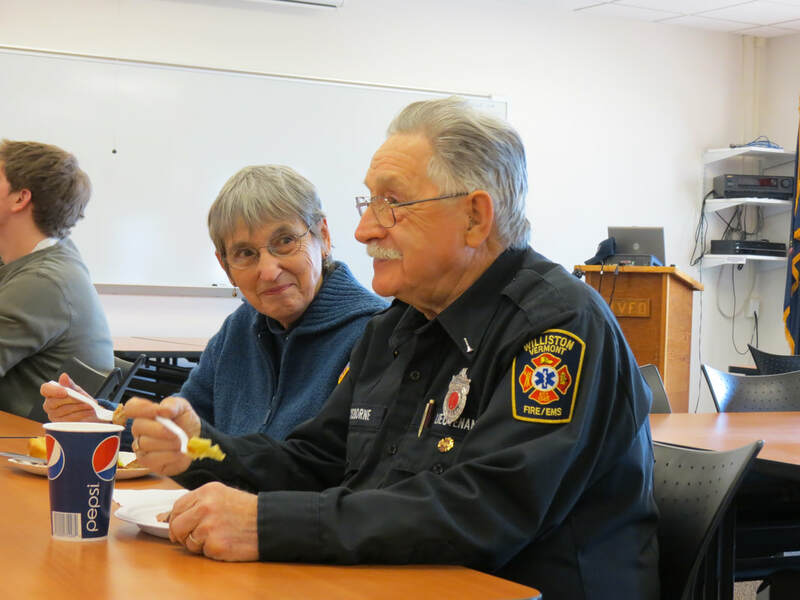 Burlington Free Press Reporter Liz Murray interviewed Senior Firefighter Nadeau and Chief Morton on Tuesday for this excellent article on how social media is used and beneficial in emergency services. 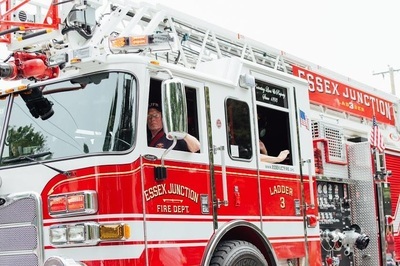 On Saturday, August 16th, the Williston Fire Department joined the Essex and Essex Junction Fire Departments training at multi unit apartment buildings slated for demolition. Members worked on critical skills such as forcible entry, ventilation, search and firefighter rescue scenarios. Huge thanks to the Essex Junction Fire Department for hosting such an amazing training event. It is a rare opportunity to get real life experience on buildings during non emergency situations. On behalf of the entire staff at WFD, thank you! At 1345 on Thursday, August 7, 2014, the Williston Fire Department responded to 291 Avenue A for a reported collapse at a construction site with four injuries. Chief Ken Morton immediately called for mutual aid from the South Burlington Fire Department and requested two additional ambulances. Chief Morton arrived on the scene within four minutes, confirming a significant structural collapse with one patient partially entrapped. An additional ambulance was requested to facilitate the transport of all four injured patients. The first patient with the most significant injuries was transported by Essex Rescue within the first ten minutes. The entrapped patient along with the two other patients were quickly packaged and transported to Fletcher Allen Healthcare by South Burlington, St. Michaels and Williston Fire Department Ambulances. All patients appeared to have non-life threatening injures. 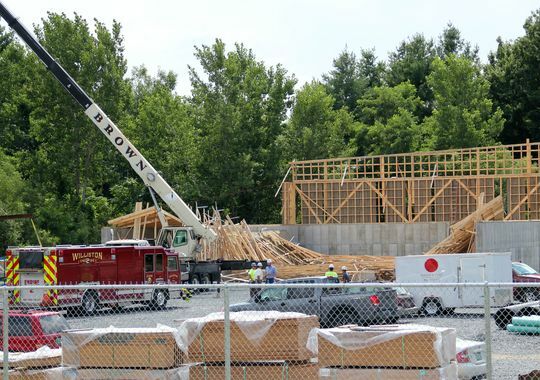 Fire Chief Ken Morton stated at the time of the collapse, workers were placing roof trusses and were approximately 21 feet in the air. When the collapse occurred, all four workers fell onto “soft ground”. The building located at 291 Avenue A is home to the future Williston Public Works salt shed. After meeting with representatives from the construction company and Division of Fire Safety, Chief Morton stated the area would be cordoned off and an investigation would occur later today. 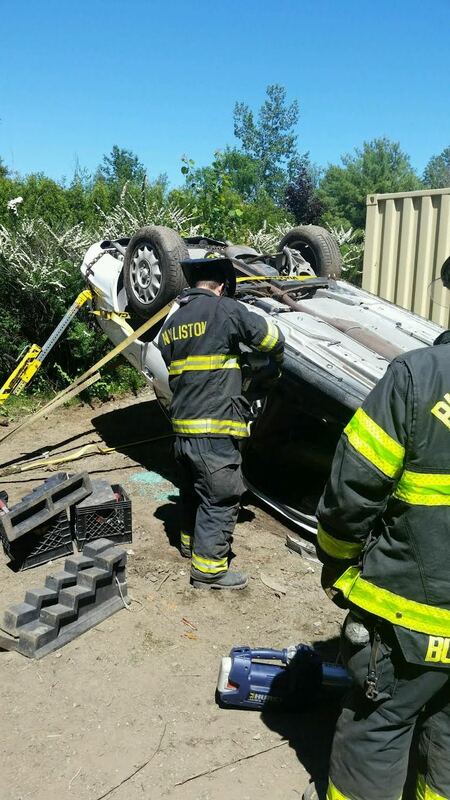 The Williston Fire Department responded with Engine 2, Rescue 2 and Car 1 providing a total of five personnel. Additional resources came from South Burlington Fire Department Ladder 1 and Ambulance 1, Essex Rescue, and St. Michaels Rescue. The Williston Fire Department staffed an ambulance and engine in quarters in the event of another call.